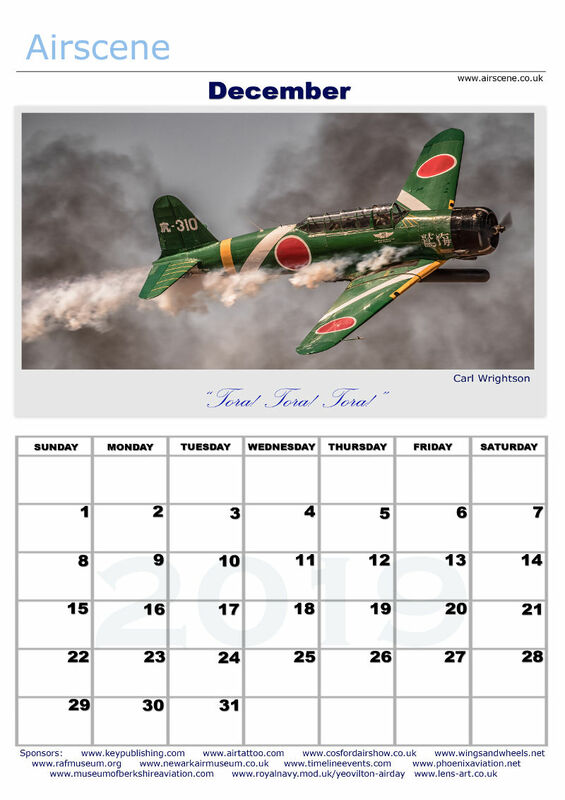 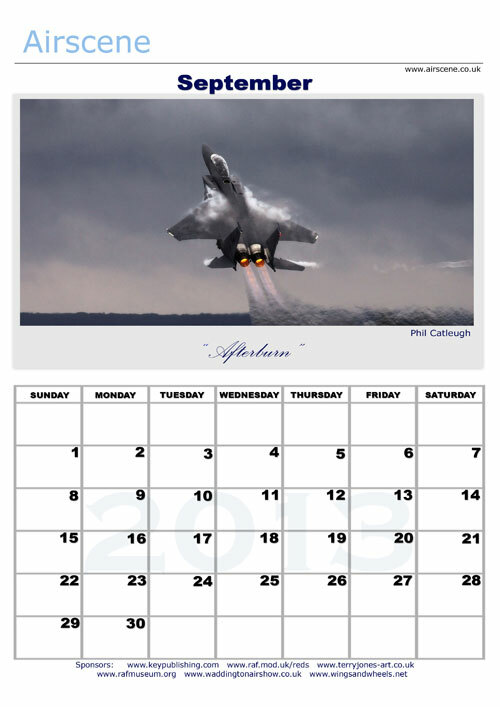 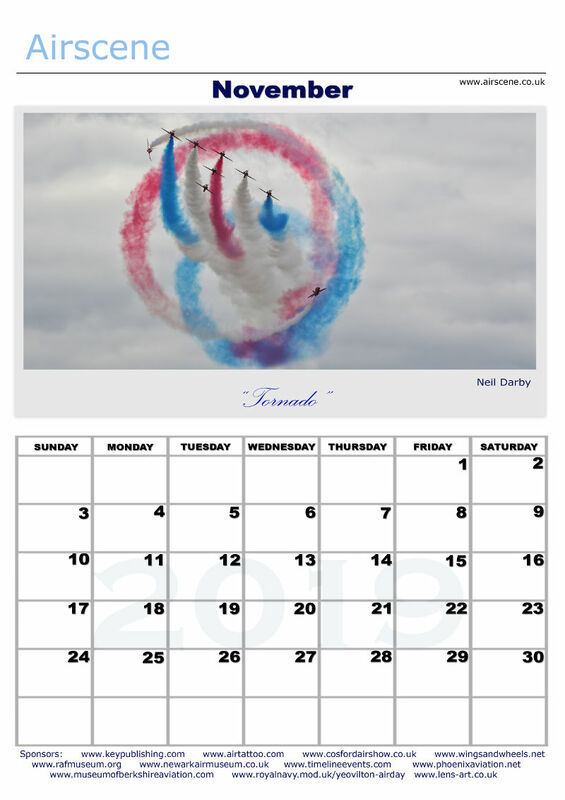 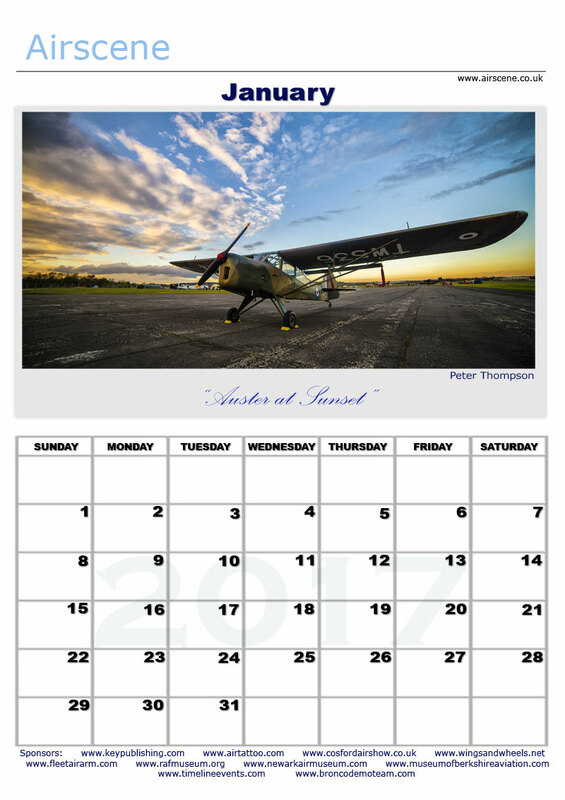 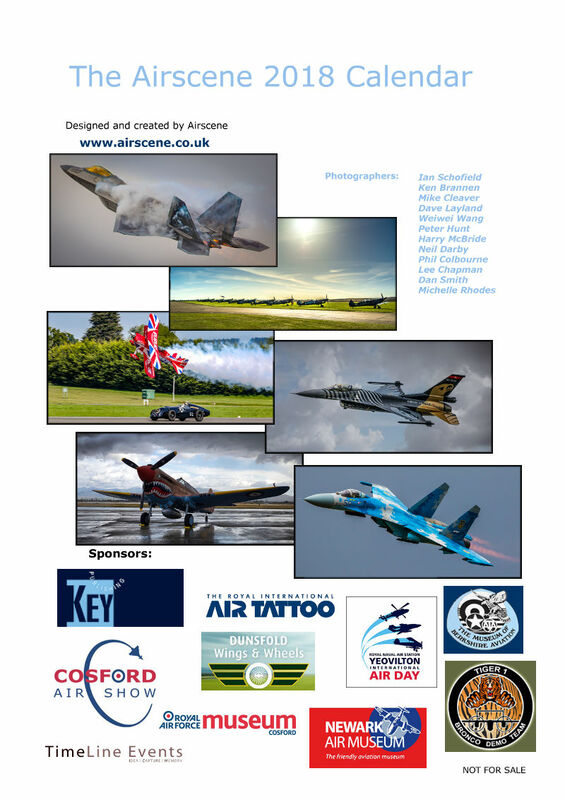 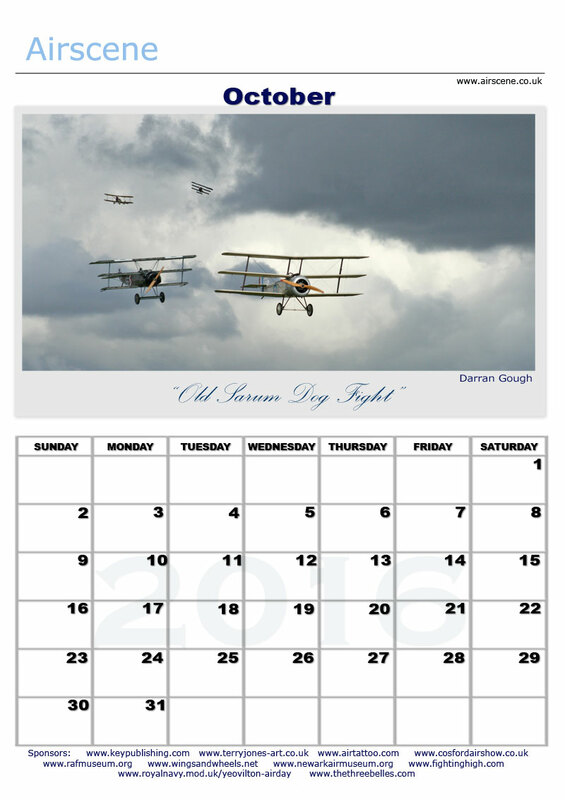 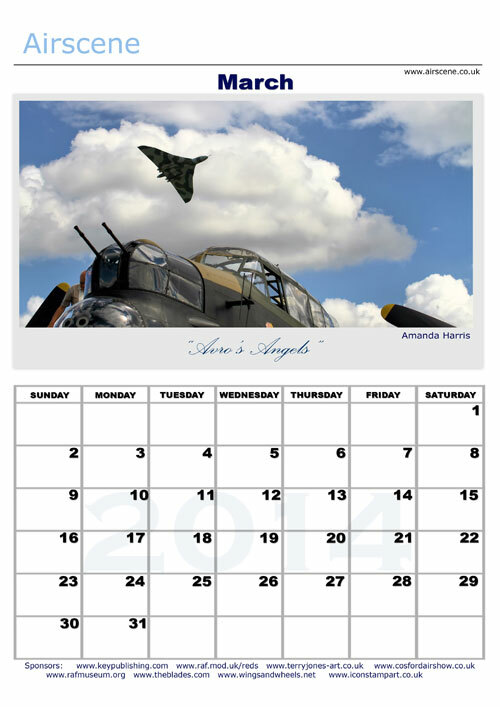 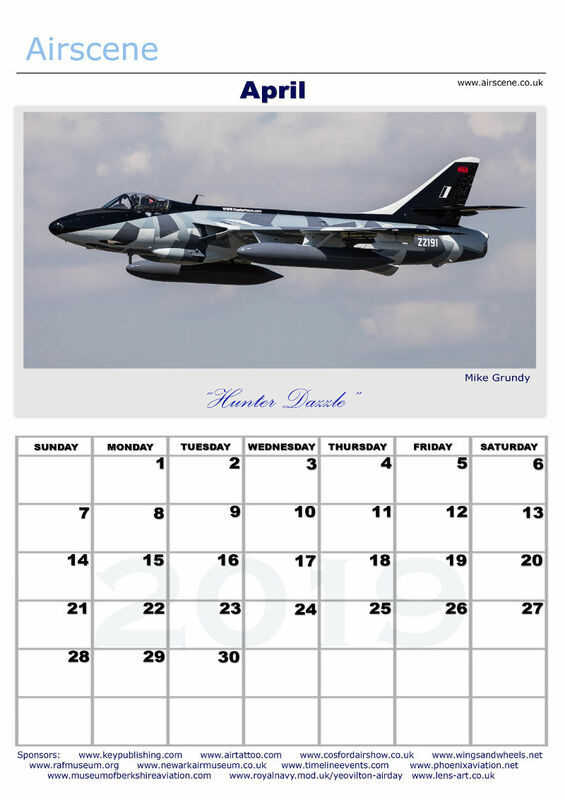 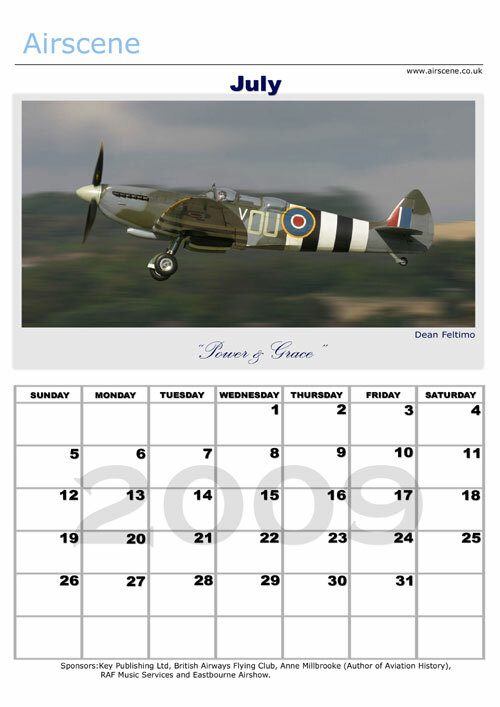 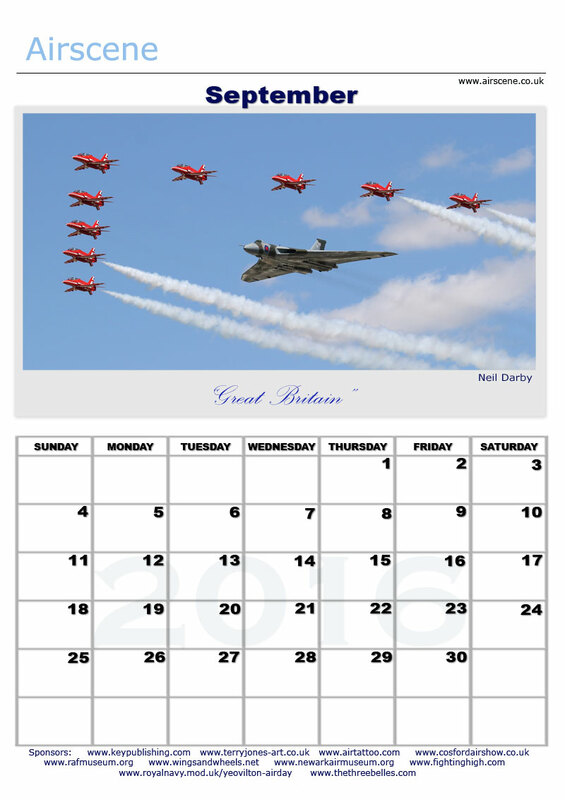 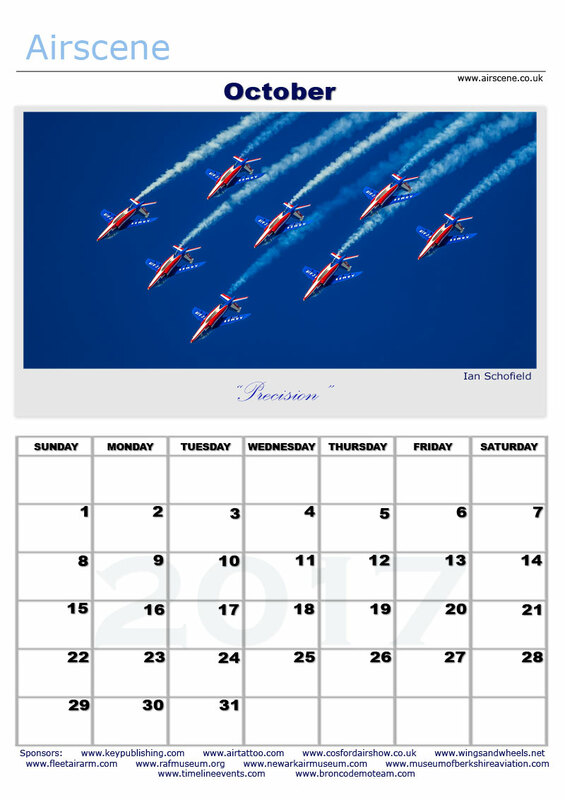 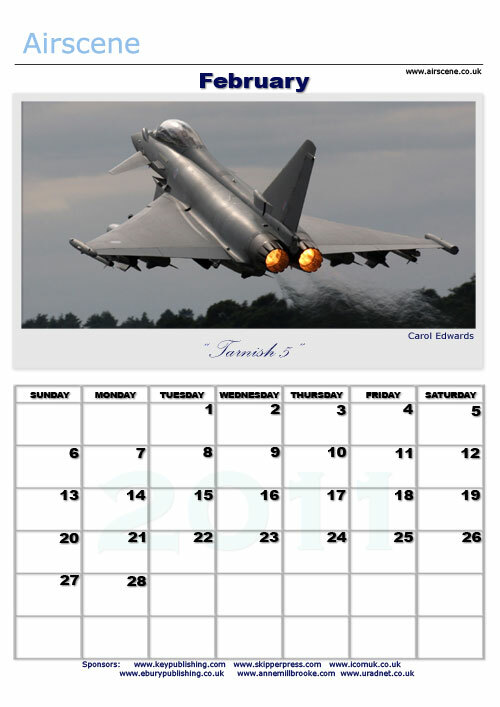 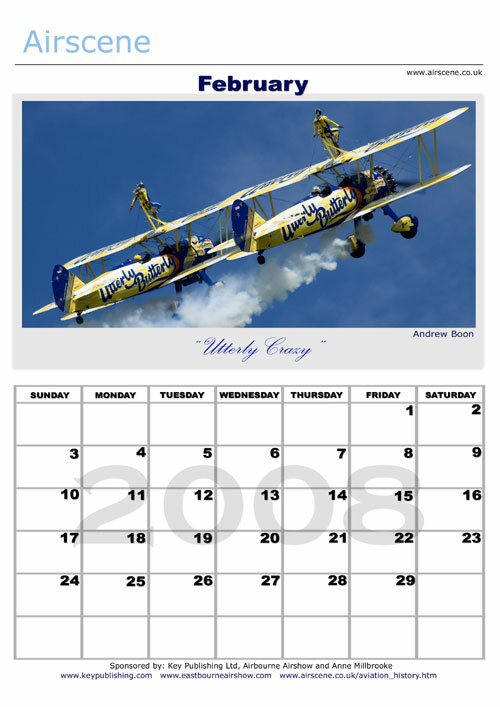 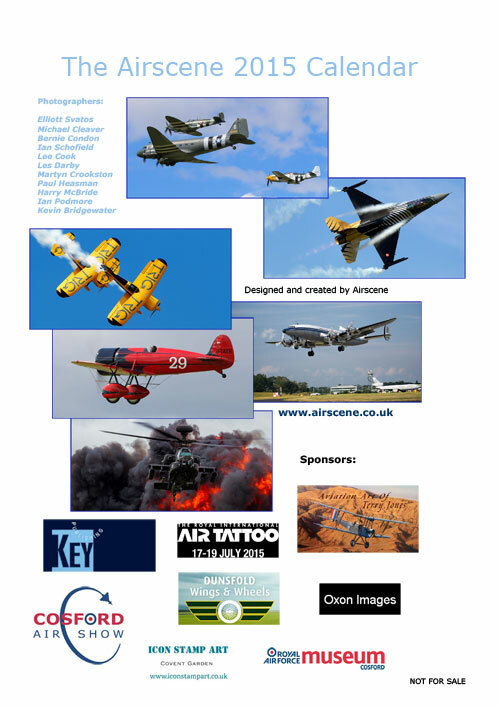 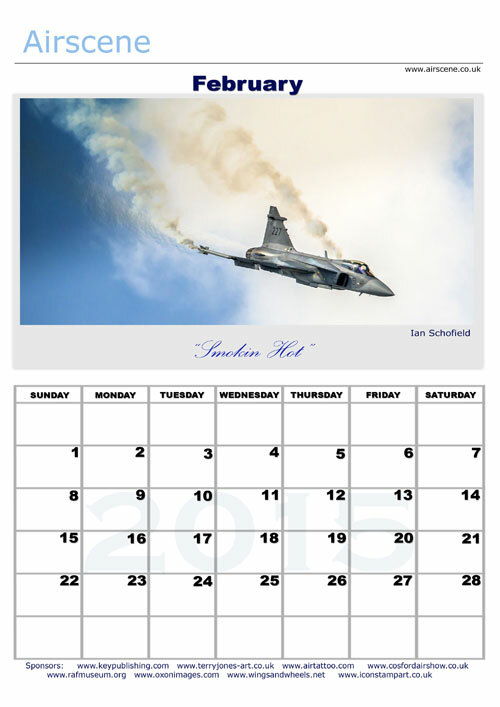 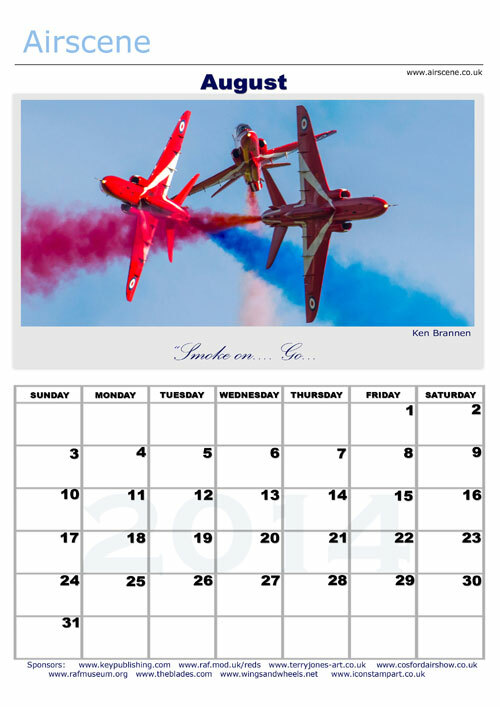 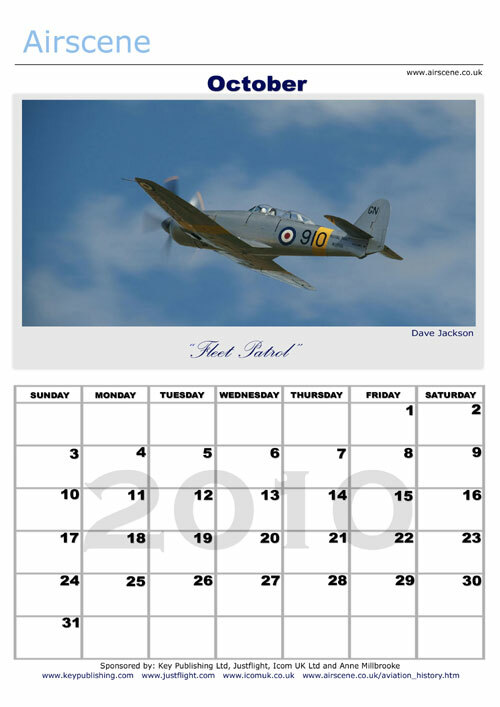 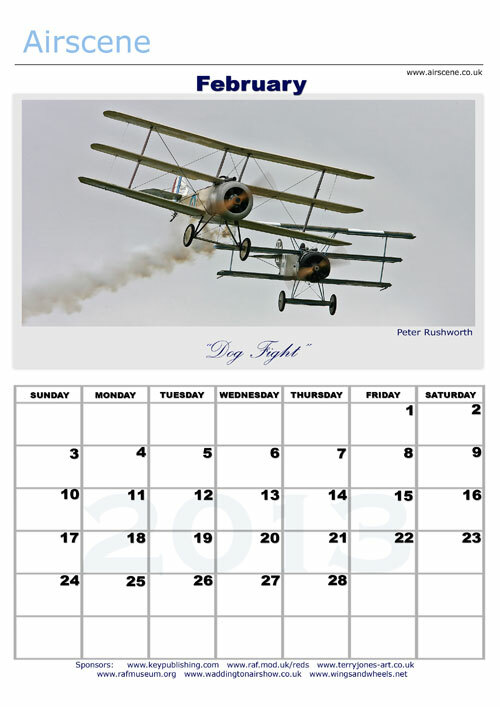 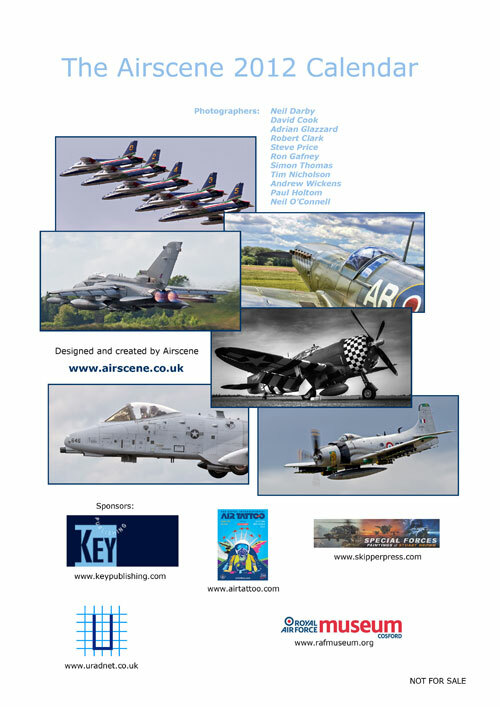 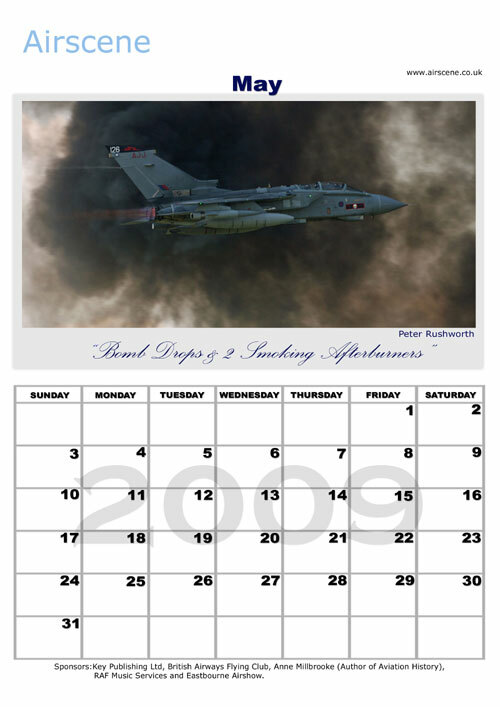 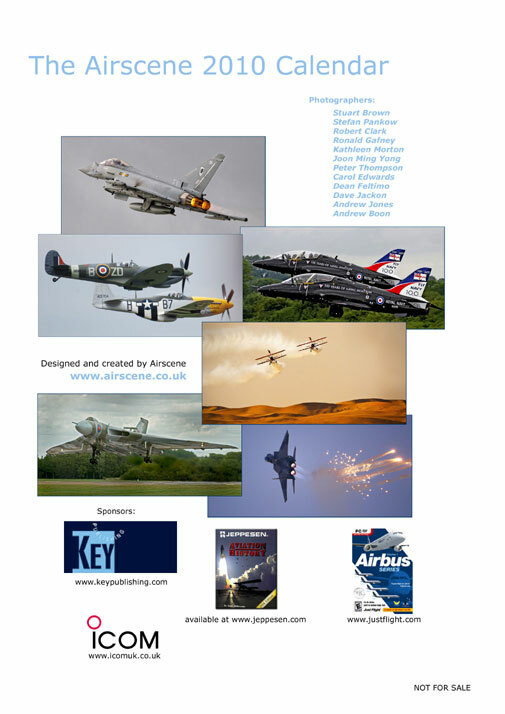 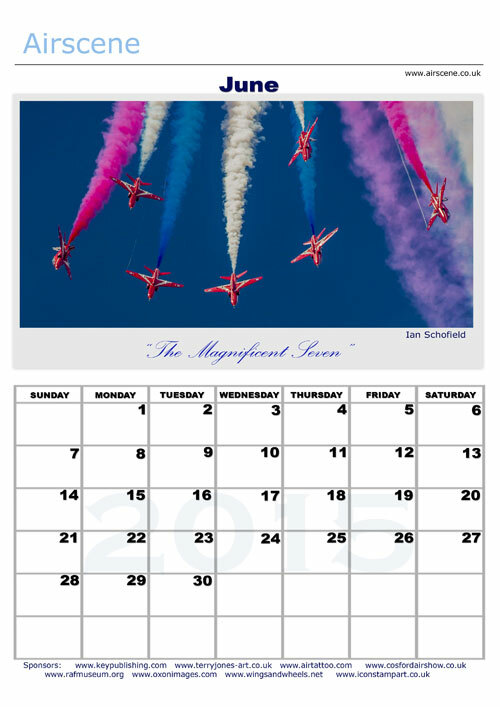 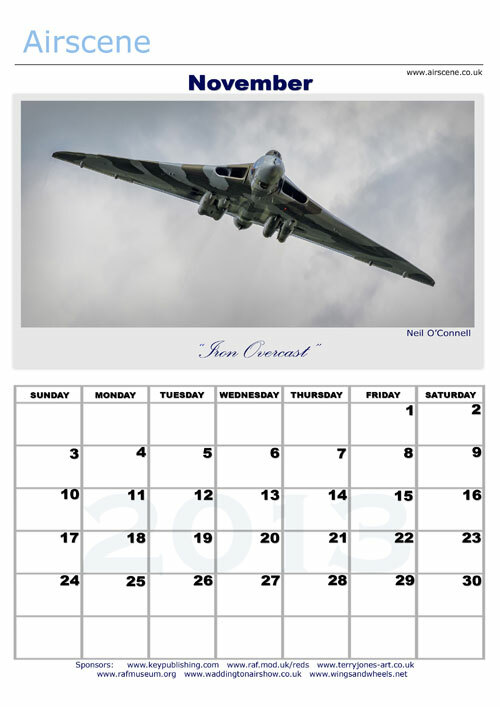 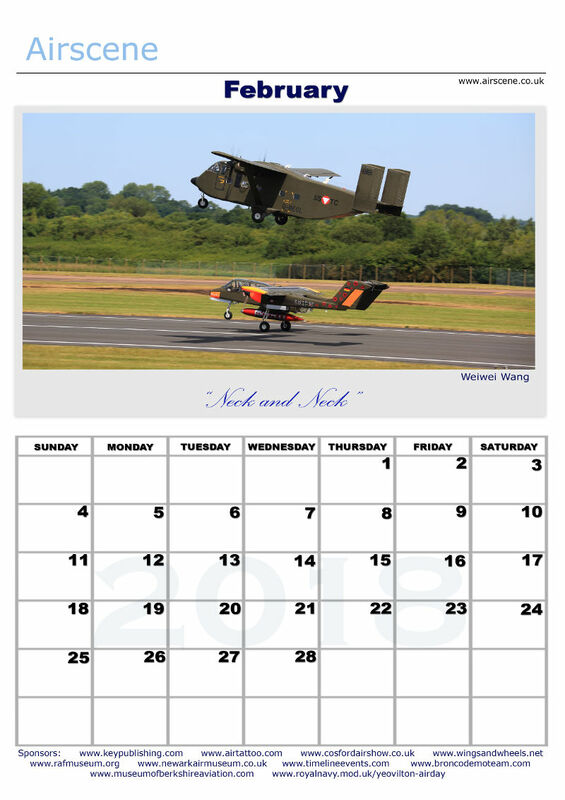 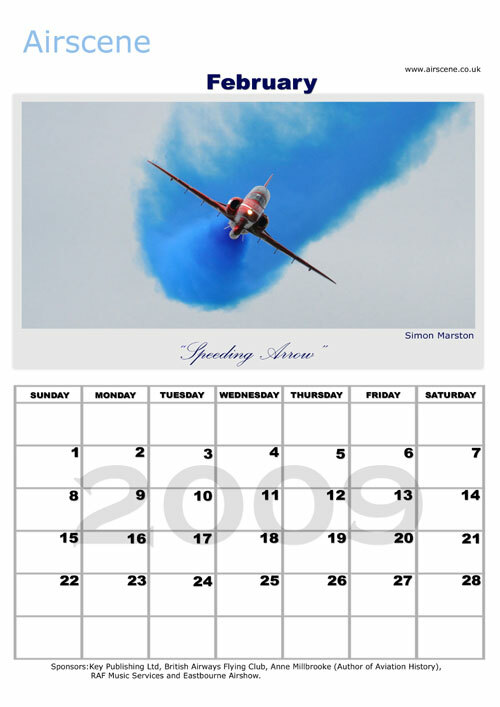 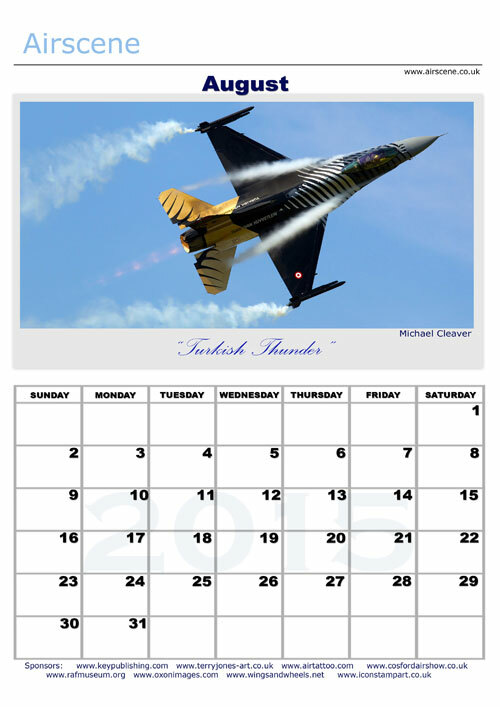 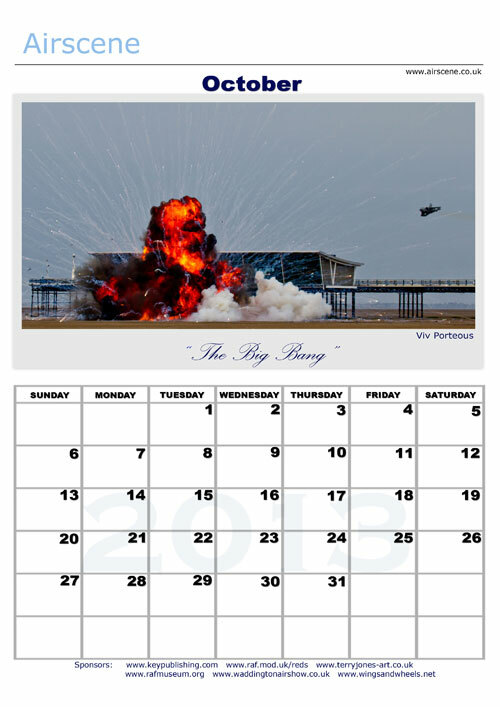 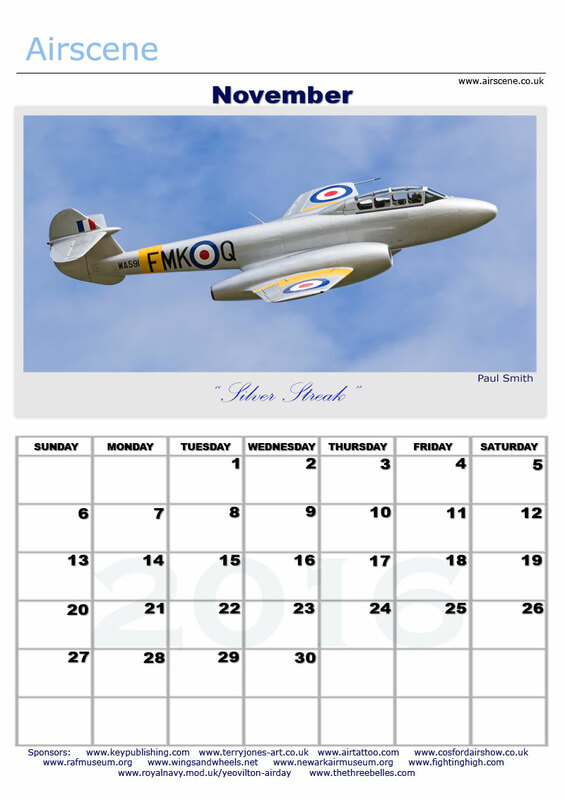 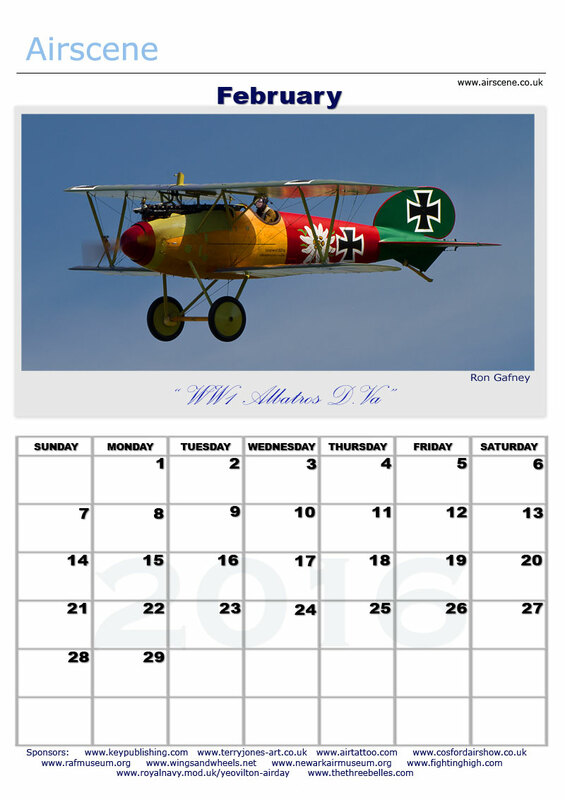 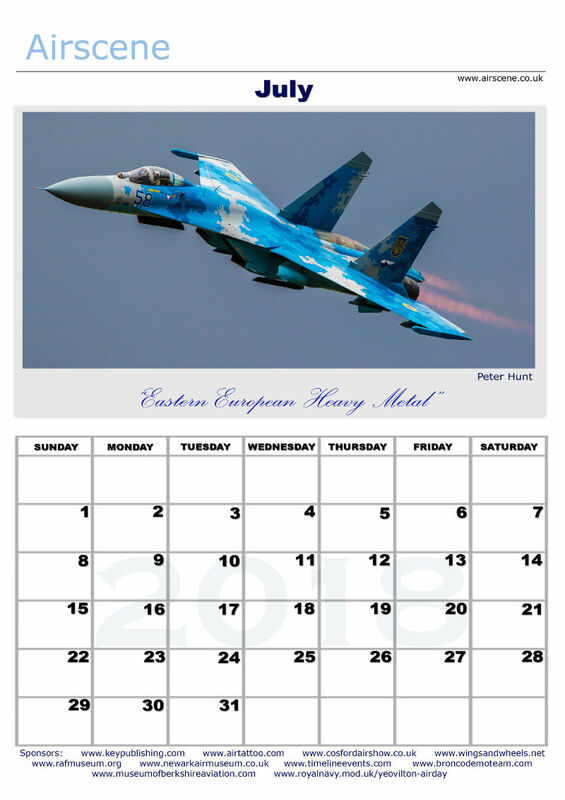 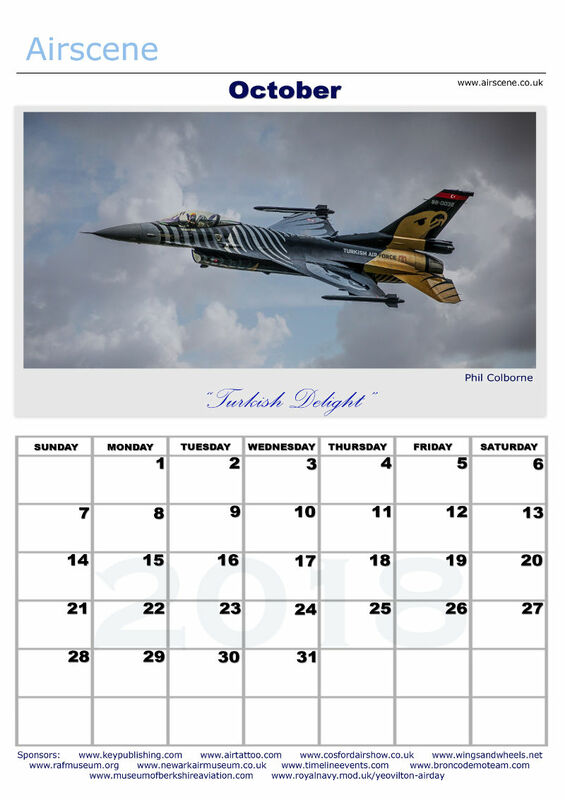 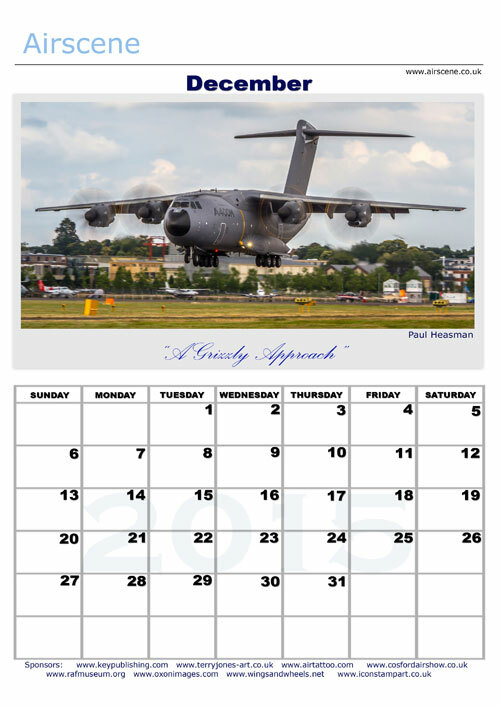 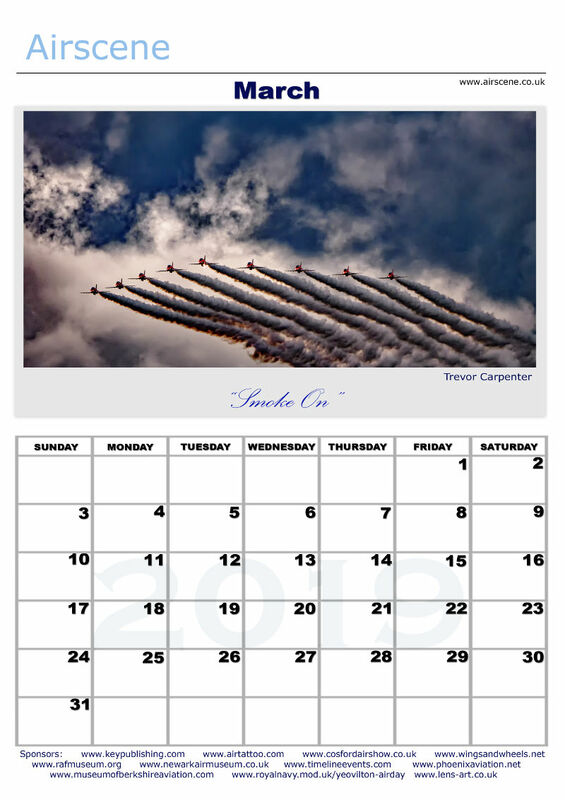 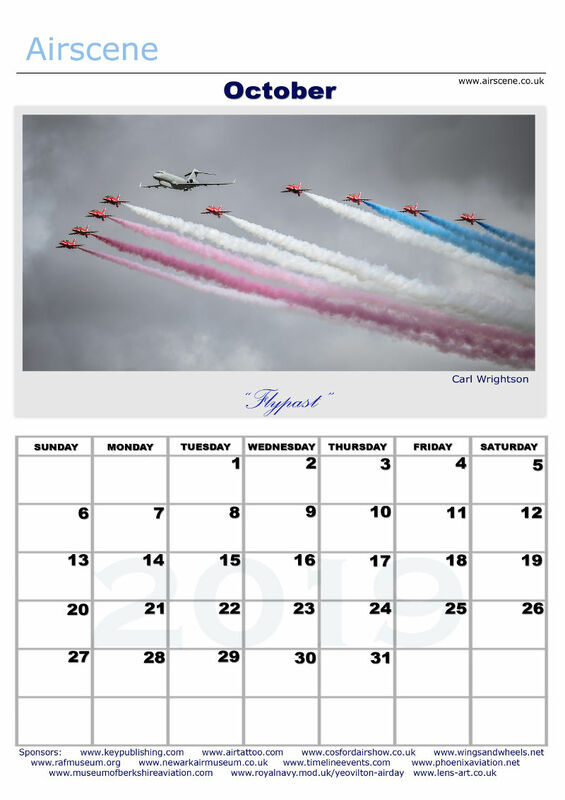 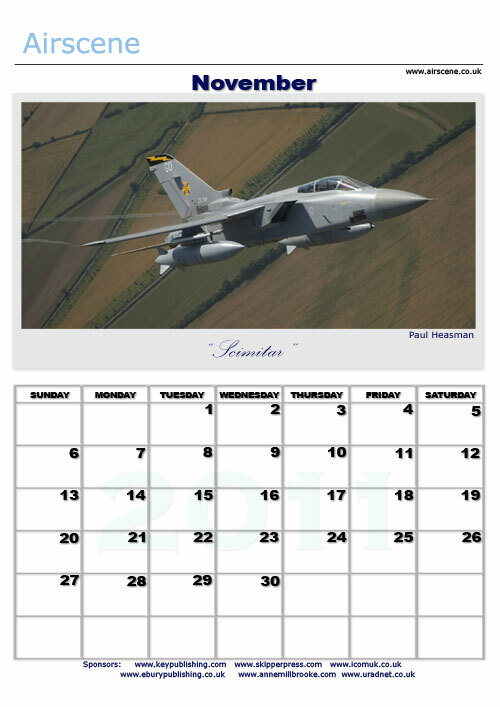 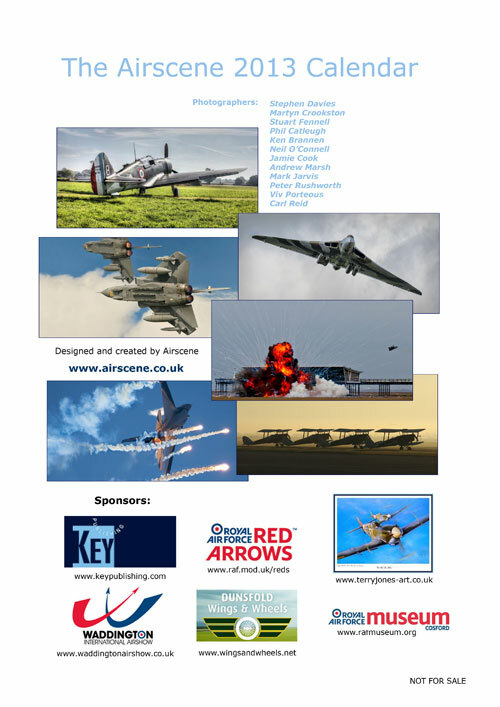 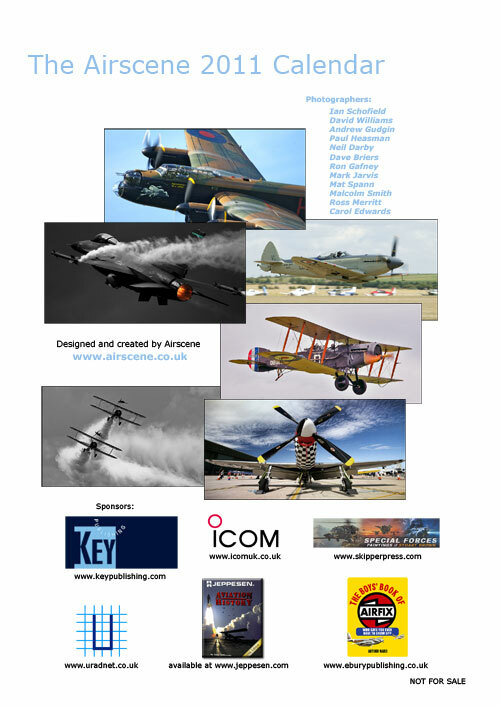 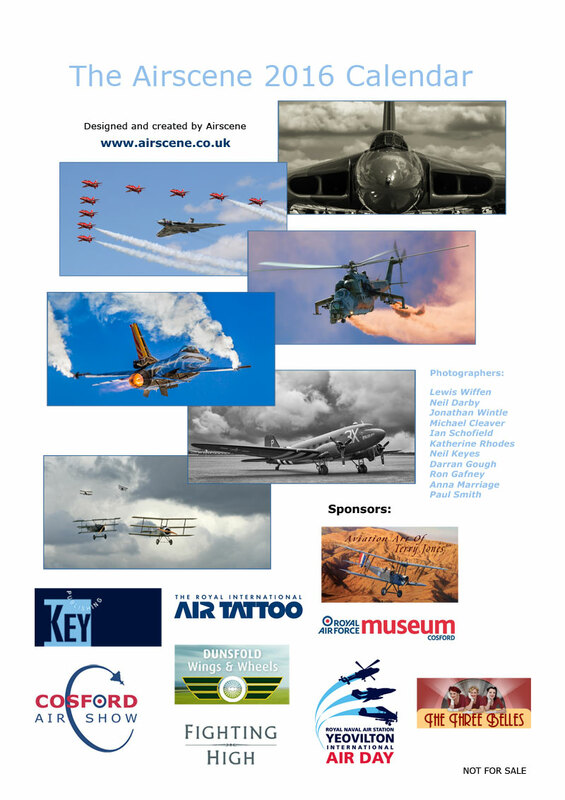 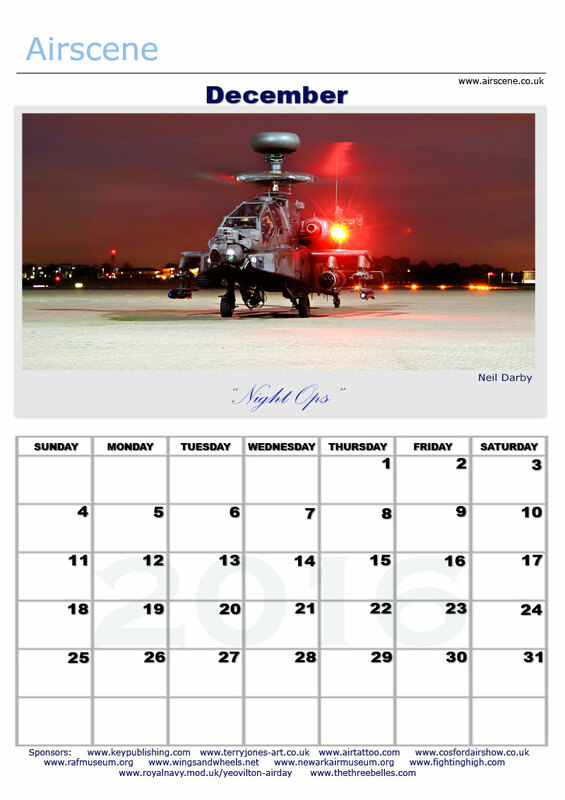 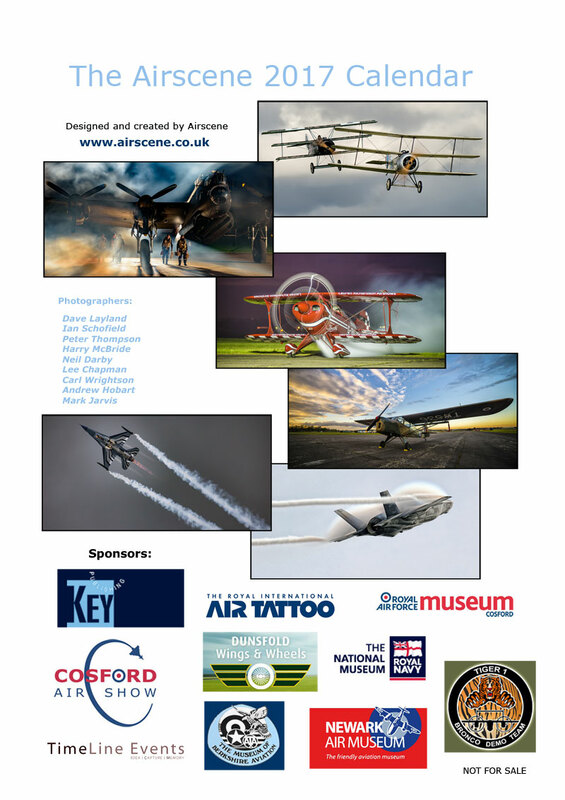 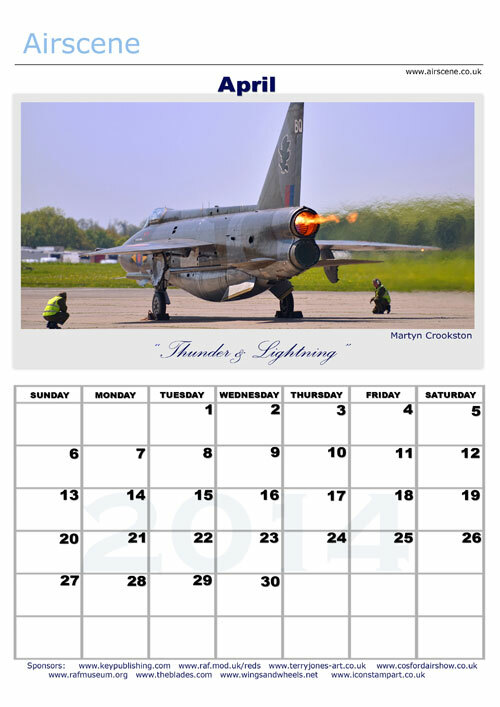 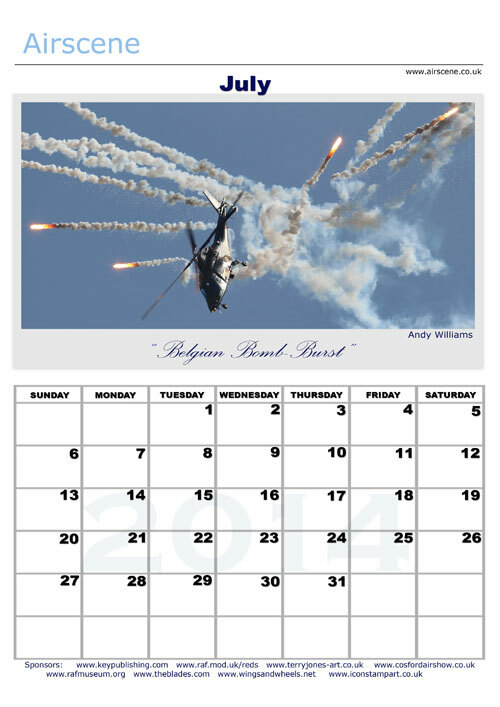 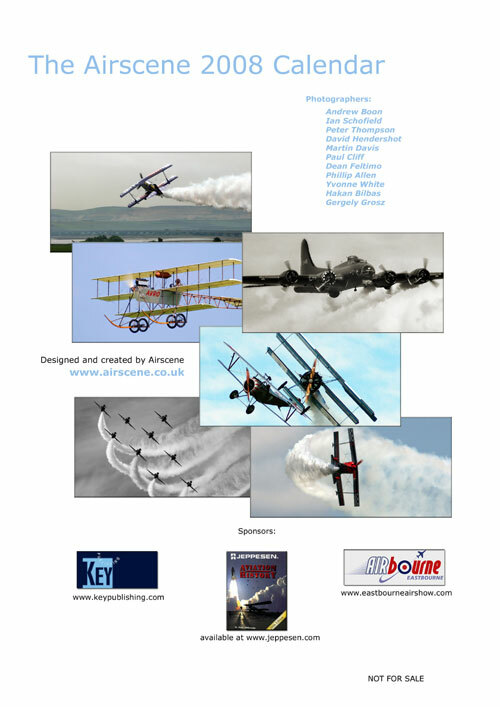 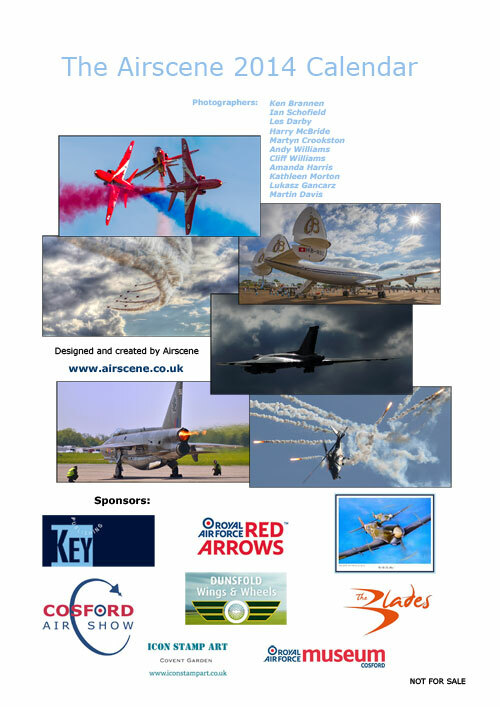 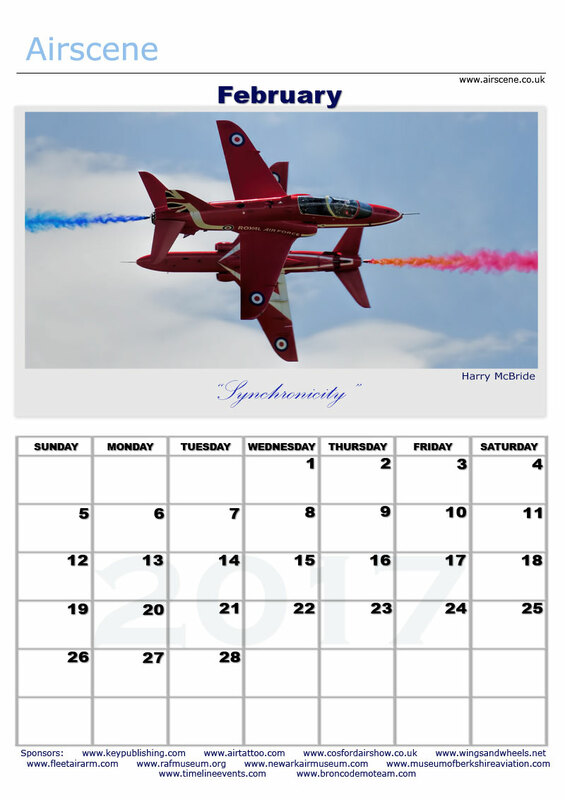 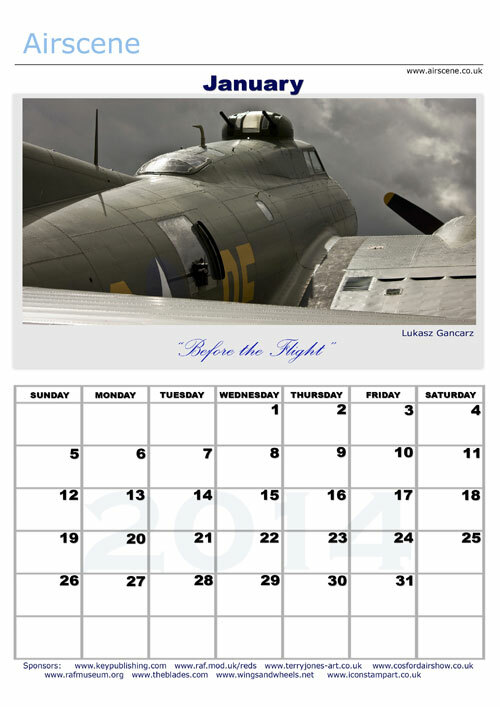 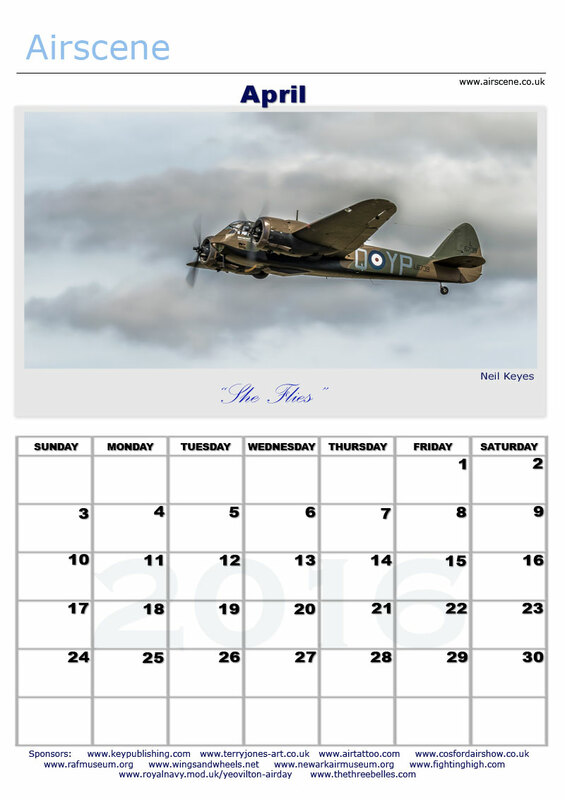 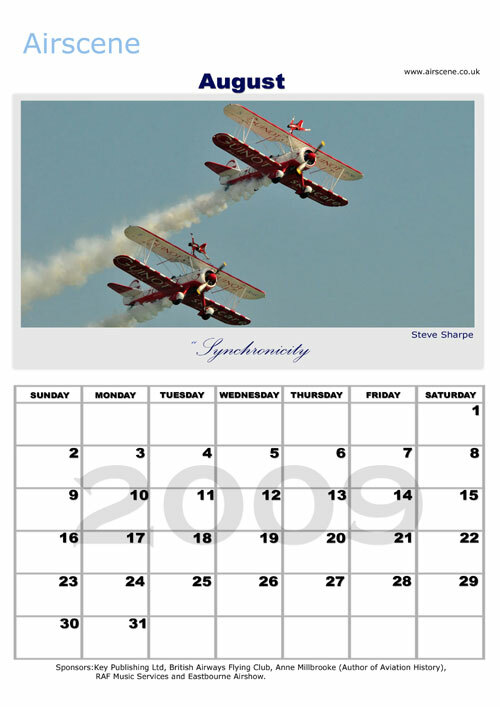 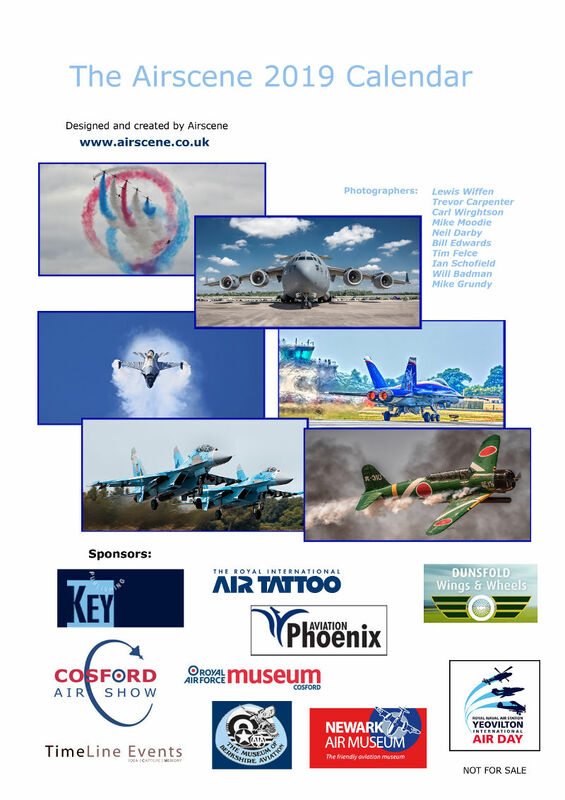 Airshow Calendars by Airscene are FREE to download. 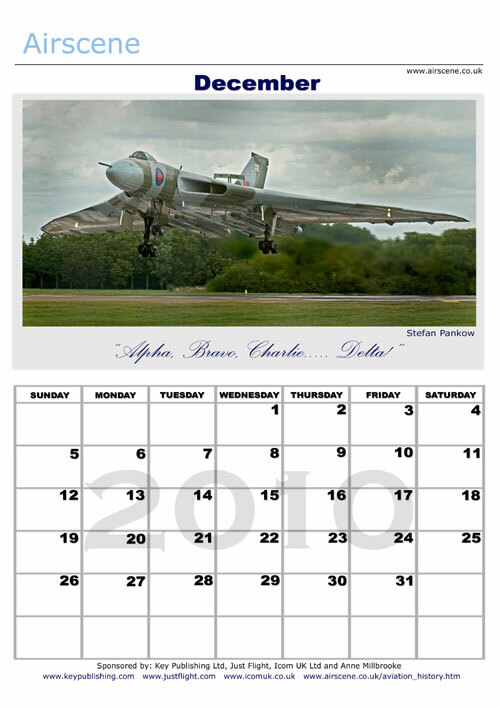 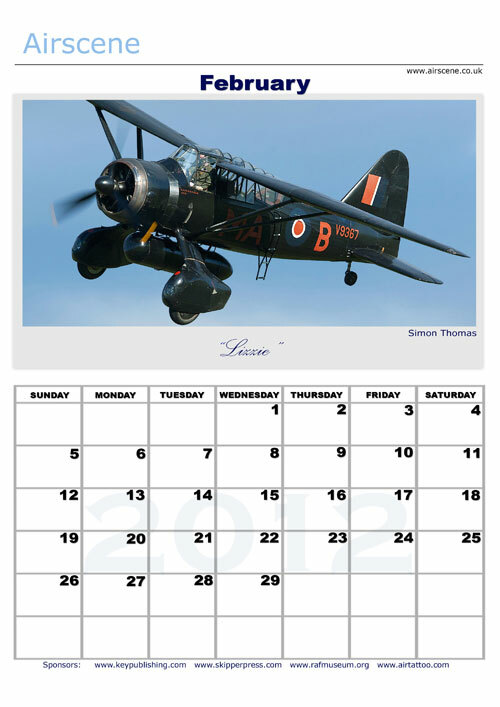 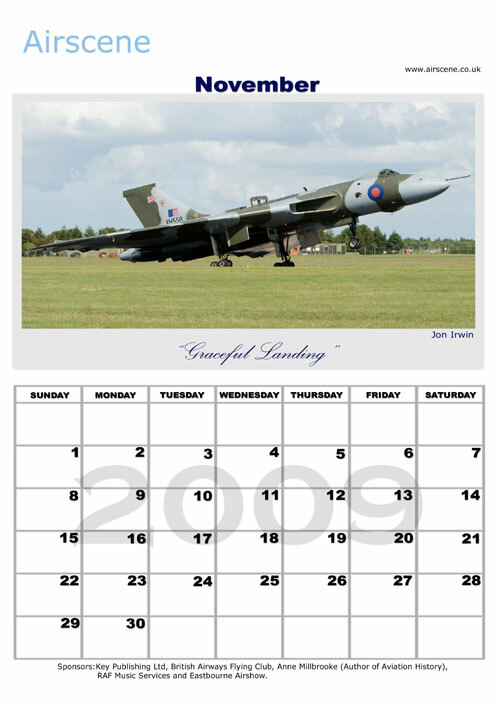 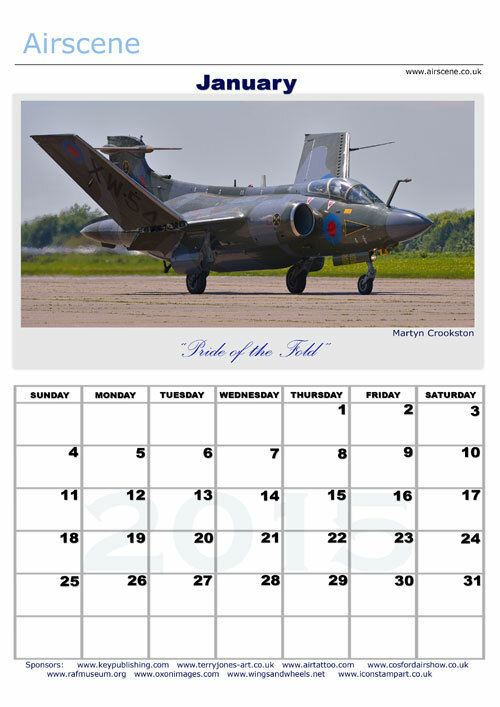 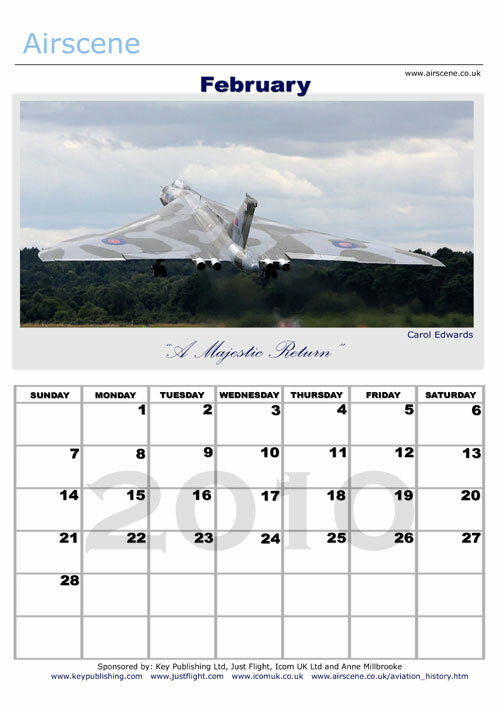 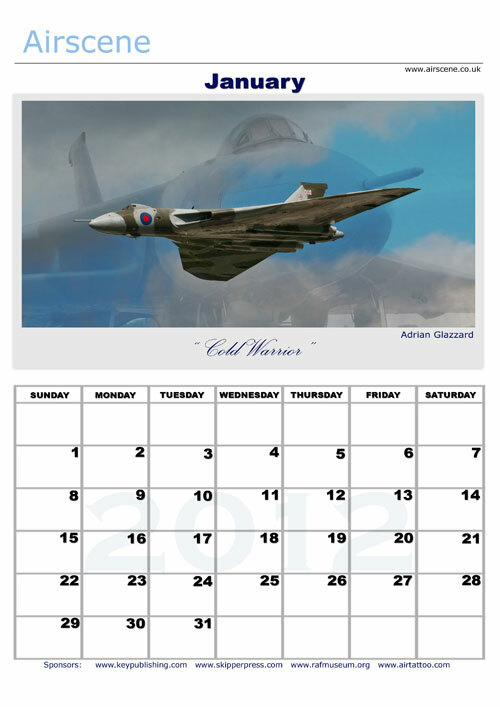 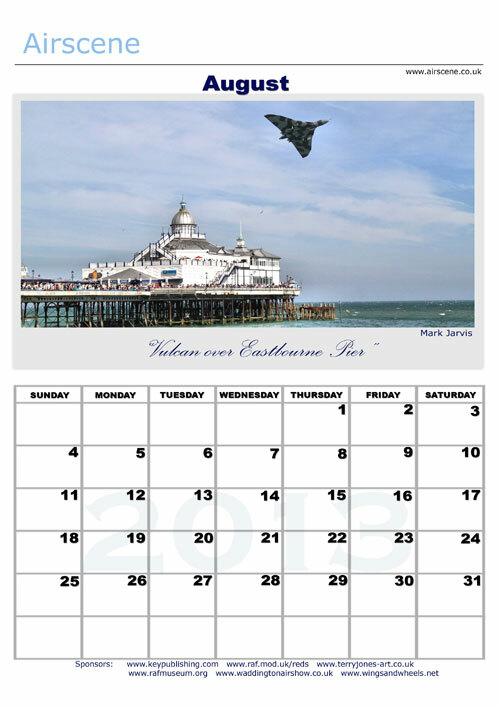 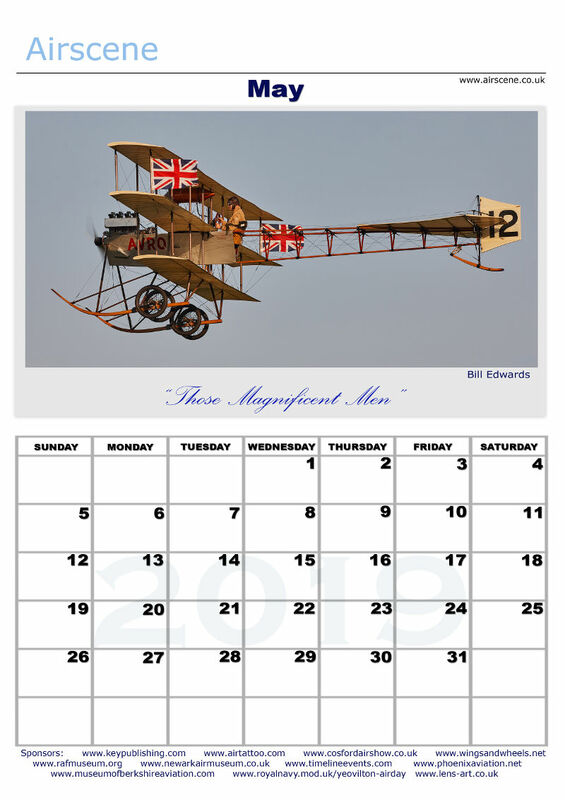 Each calendar includes 12 monthly views and a front cover page. 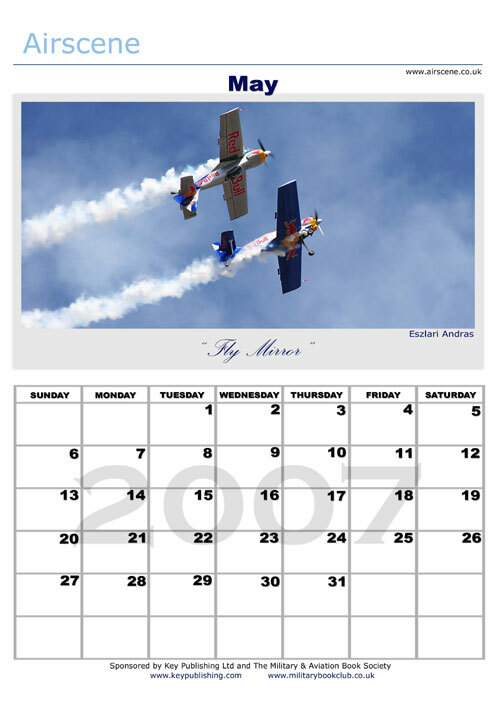 Page size is typically between 500k and 600k in size and comes in a jpeg format. 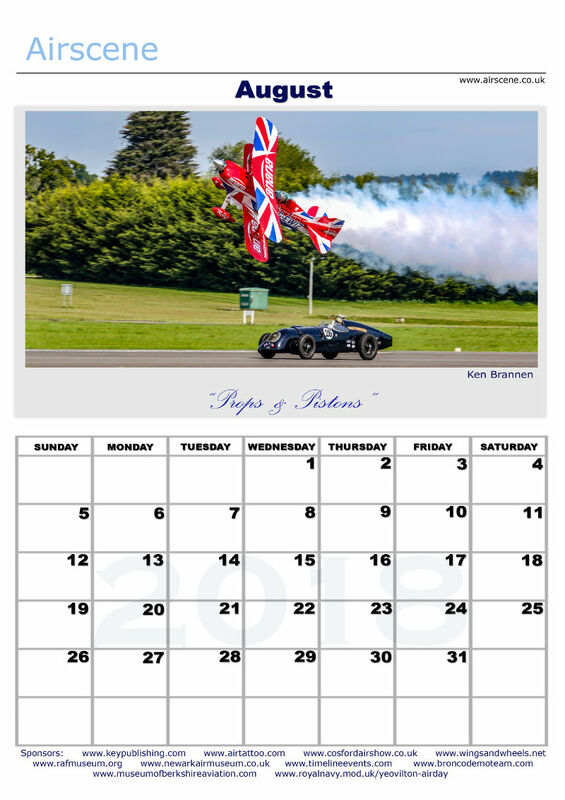 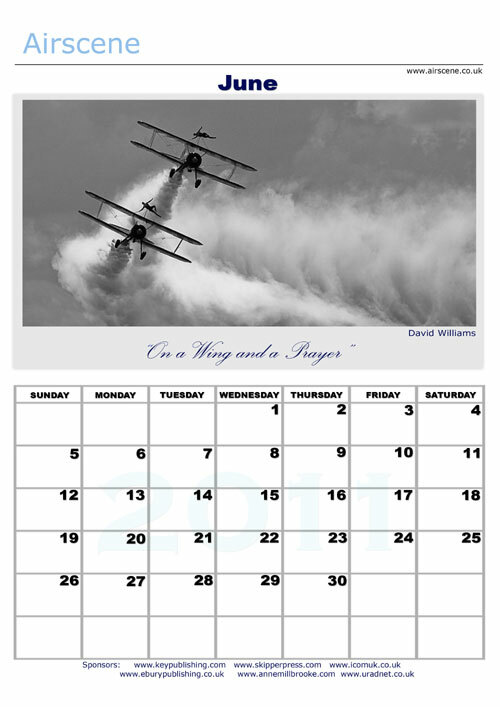 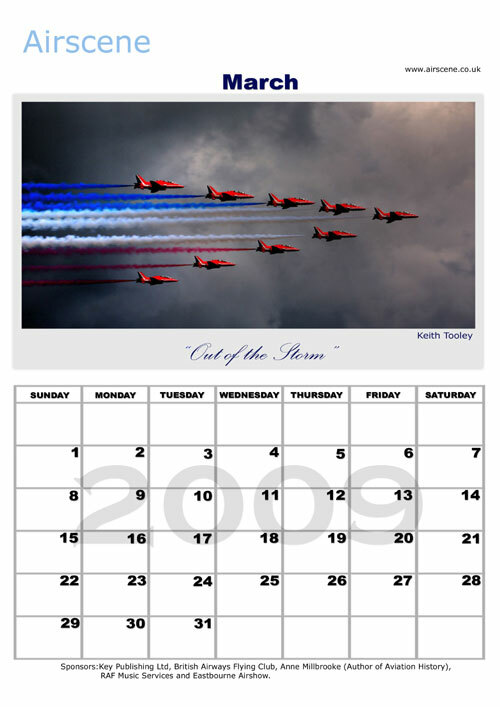 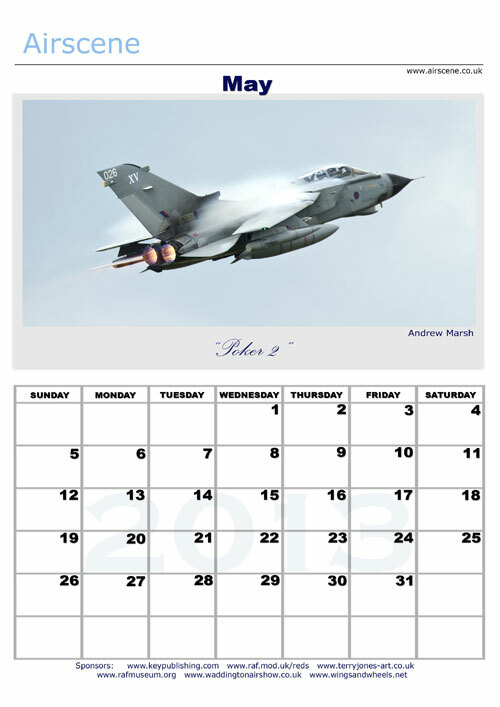 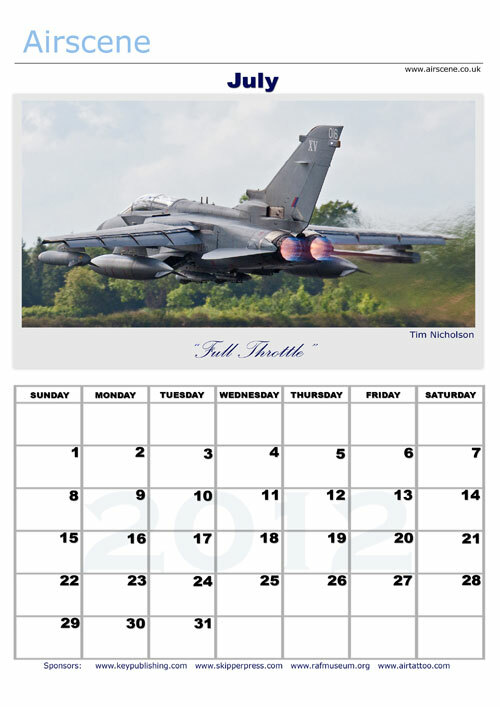 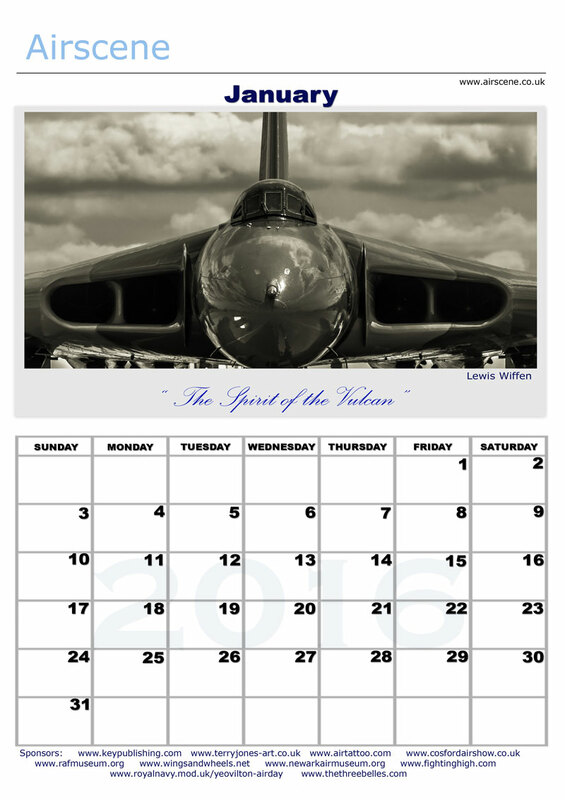 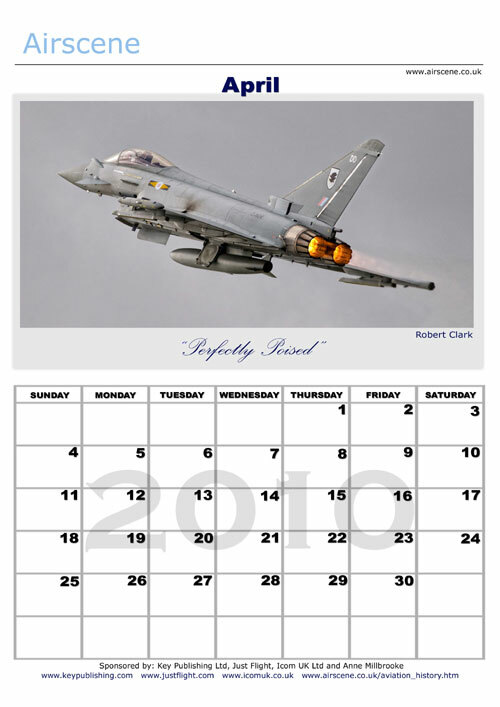 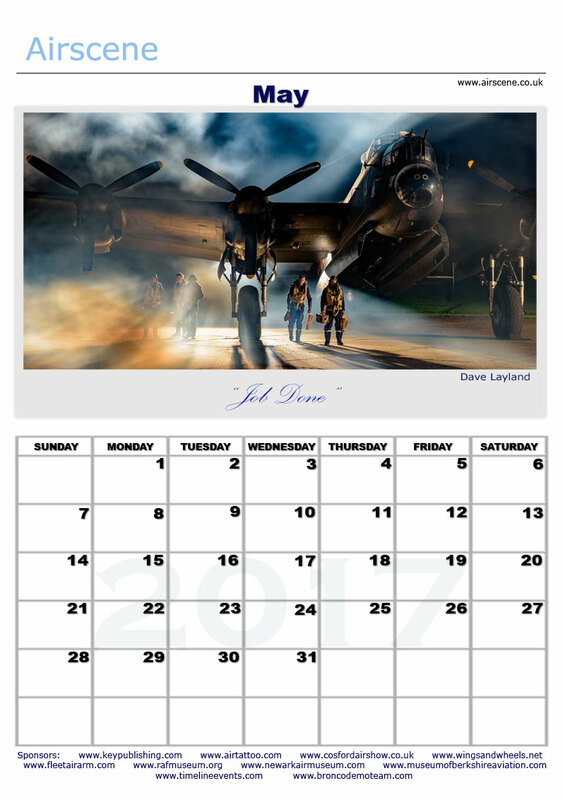 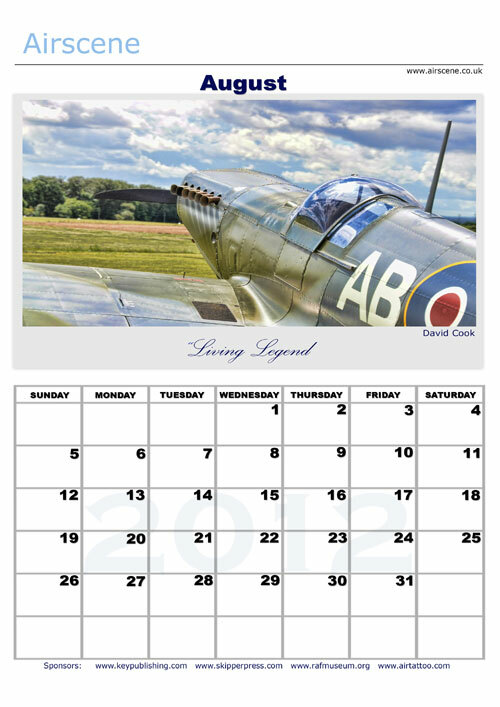 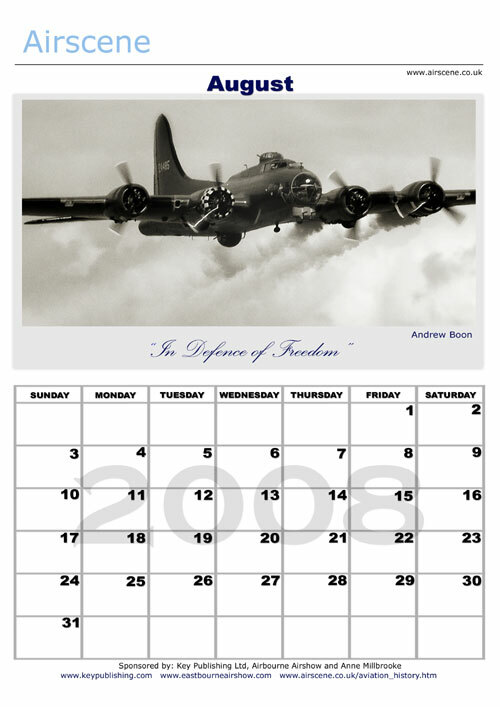 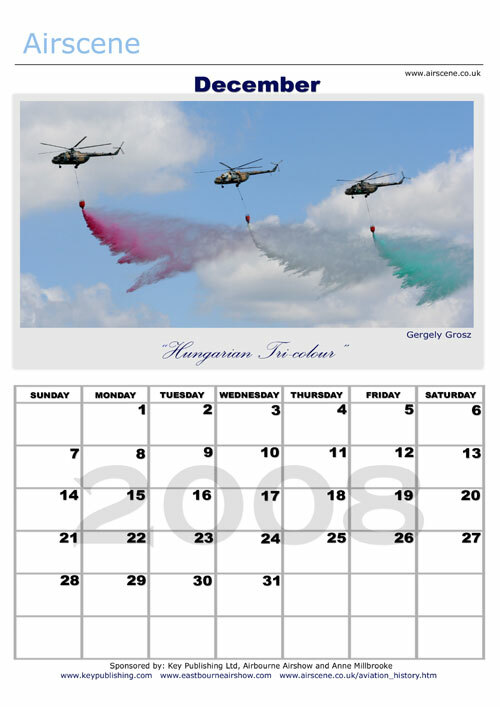 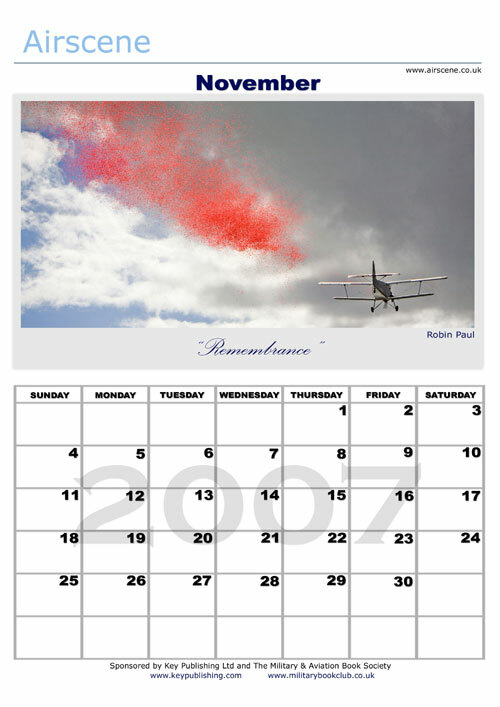 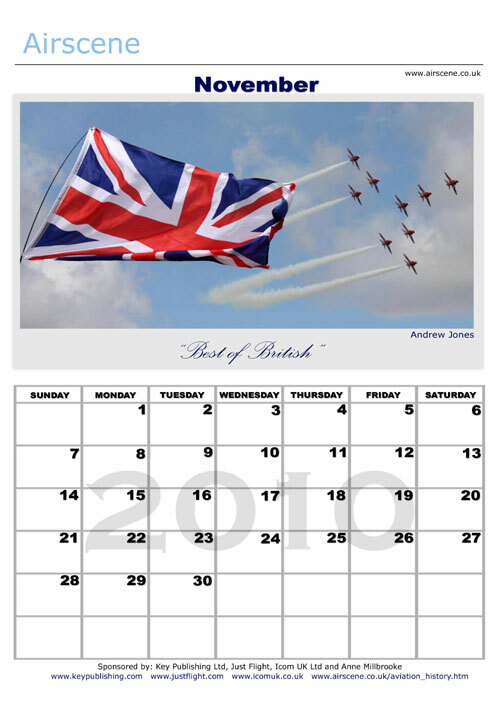 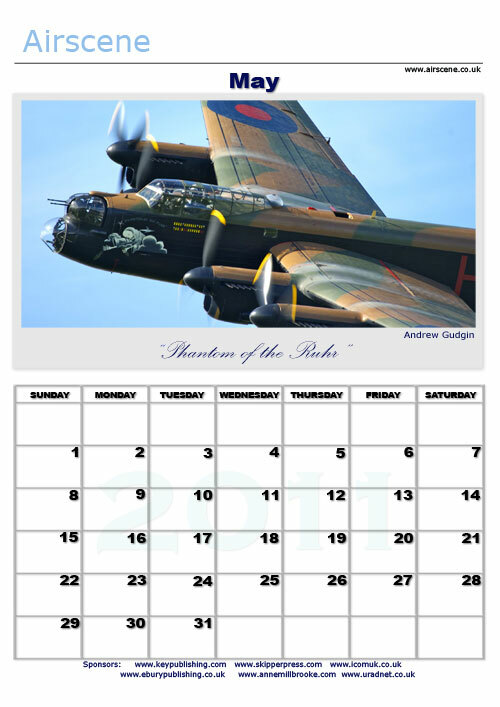 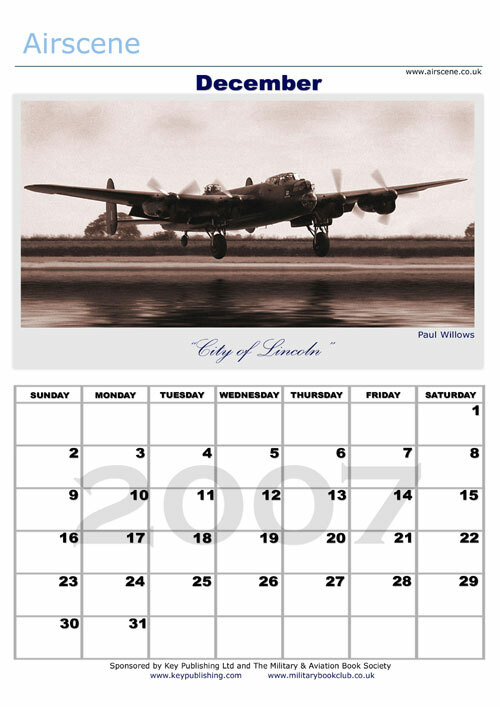 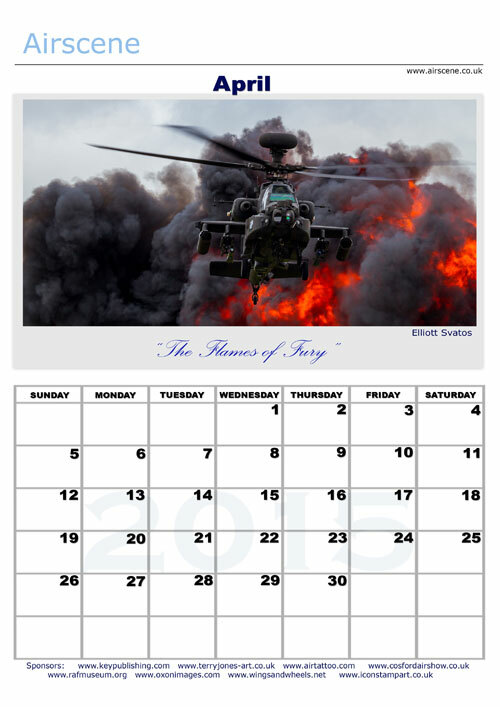 The quality is sufficiently high to produce a glossy A4 size wall calendar. 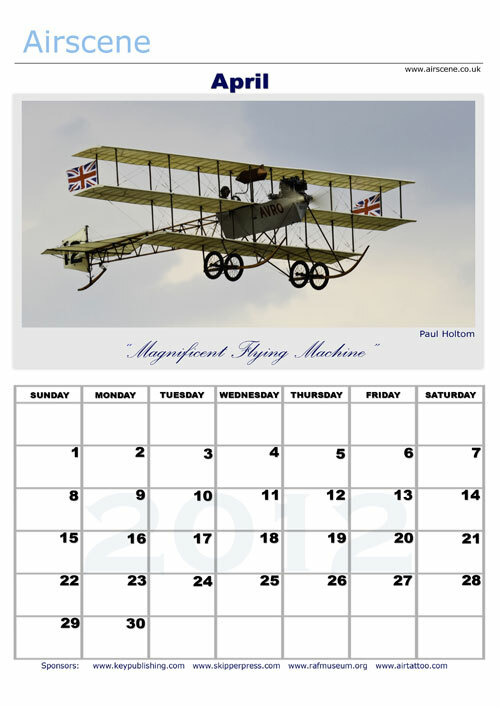 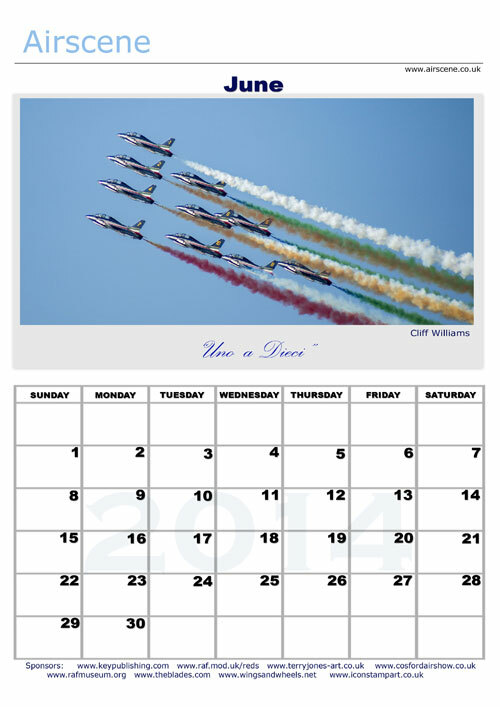 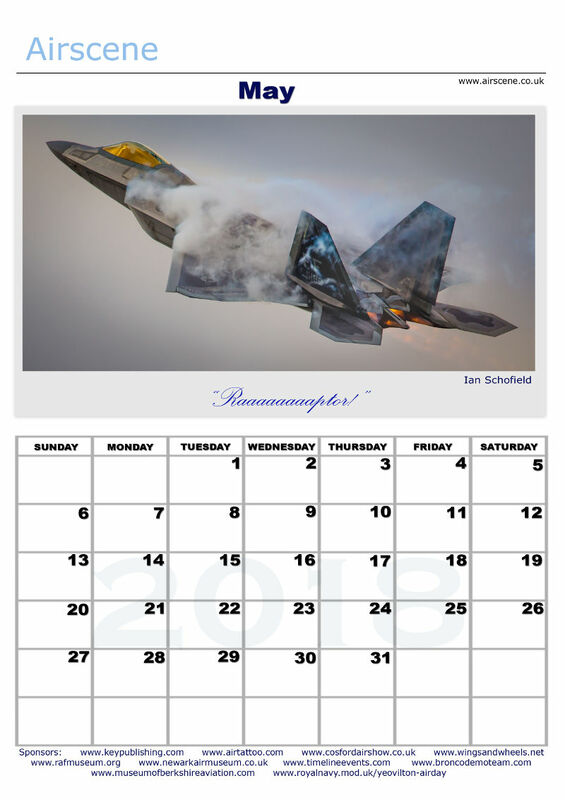 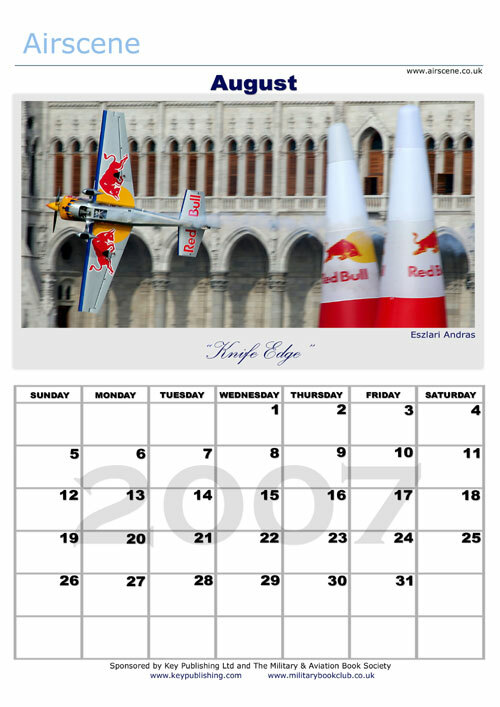 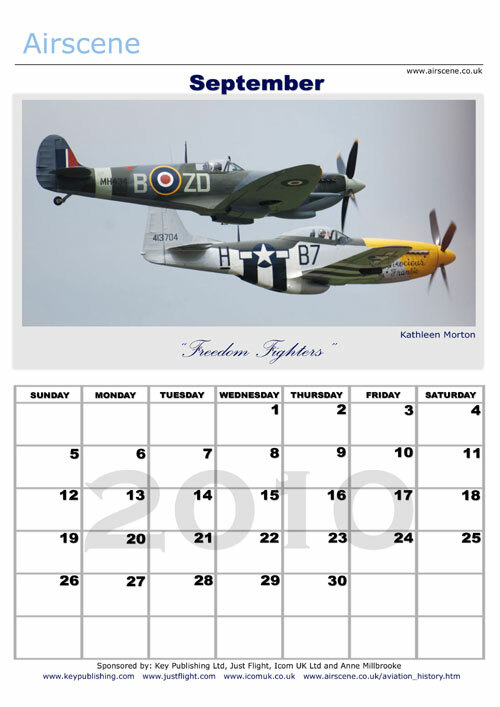 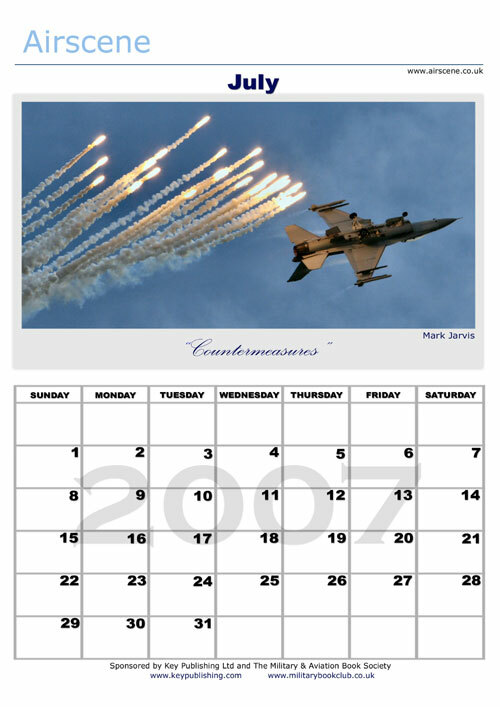 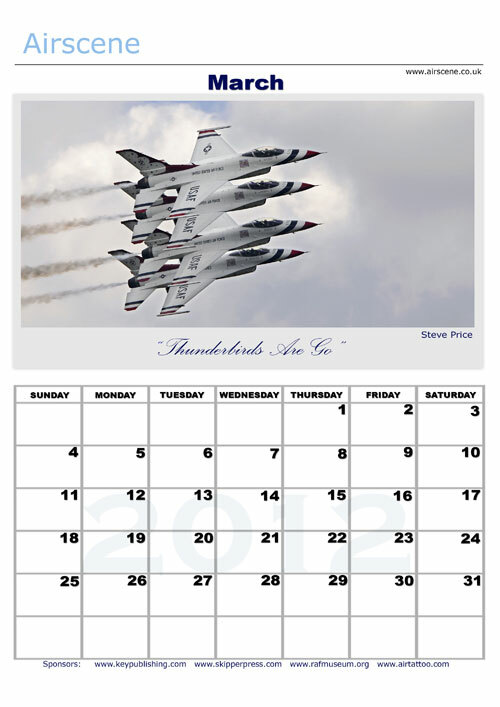 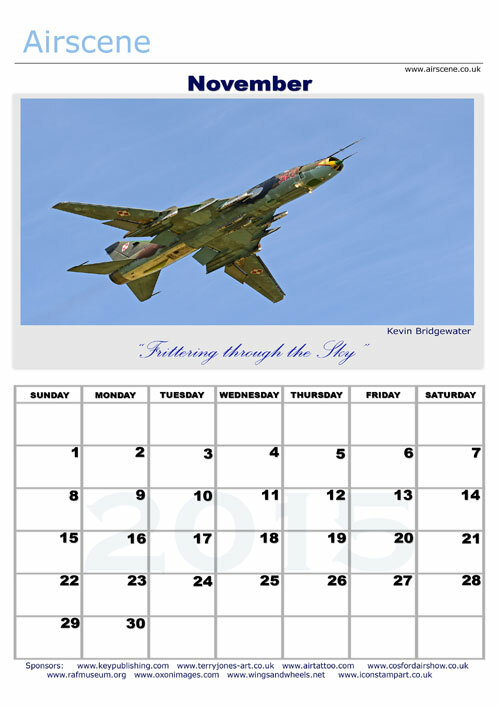 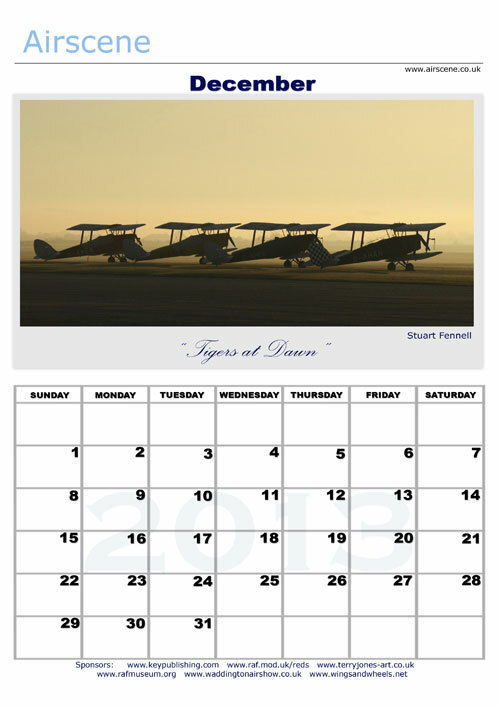 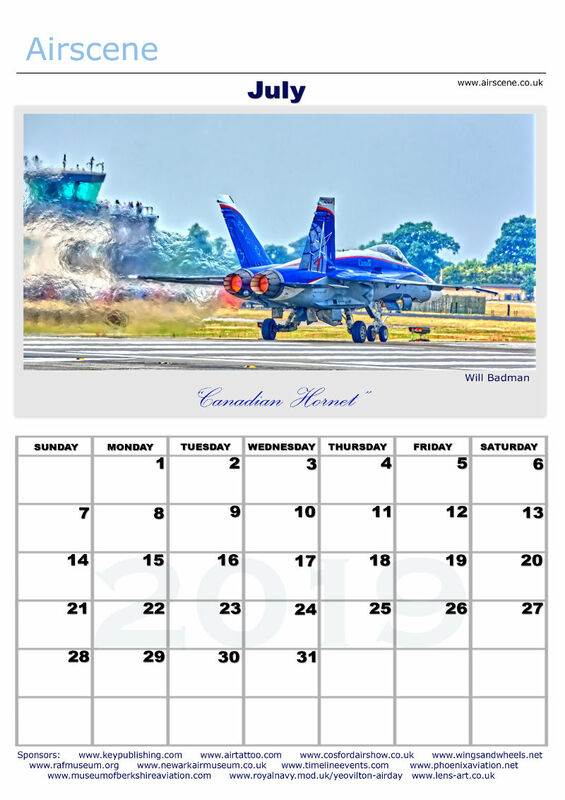 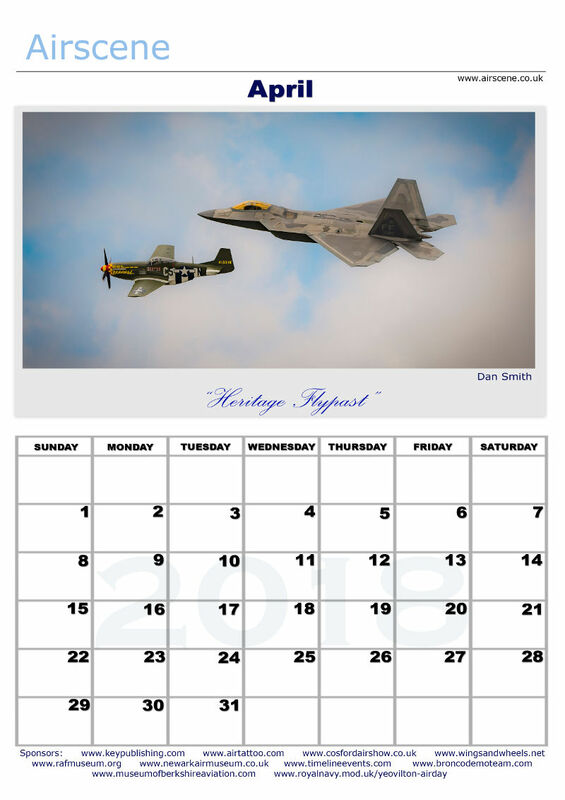 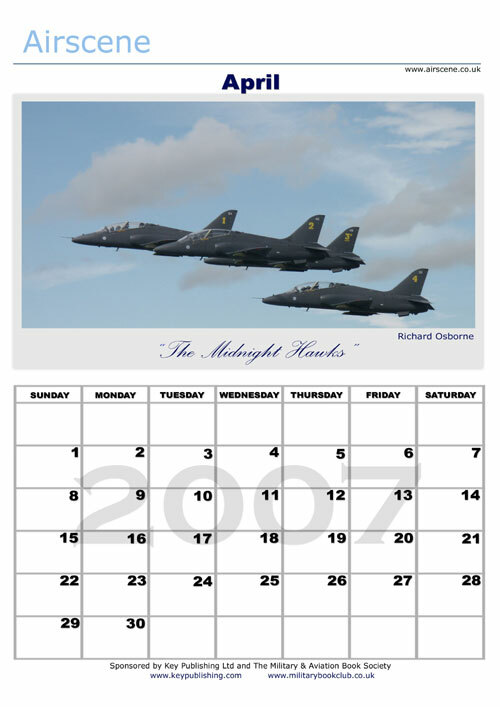 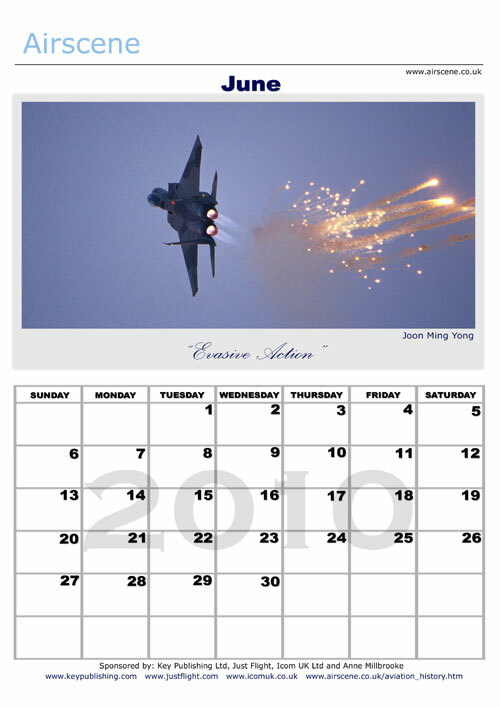 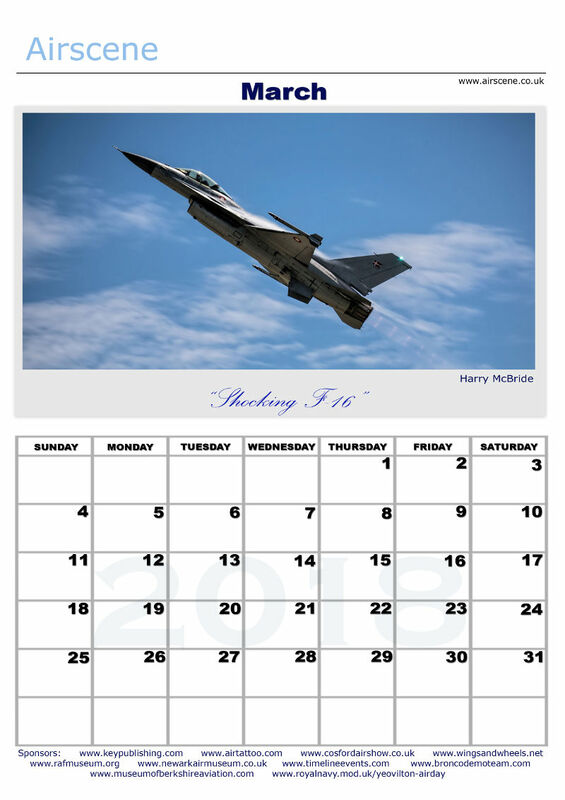 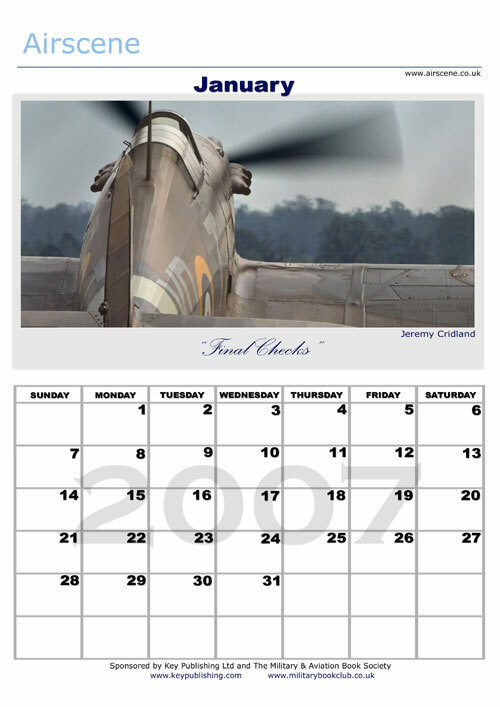 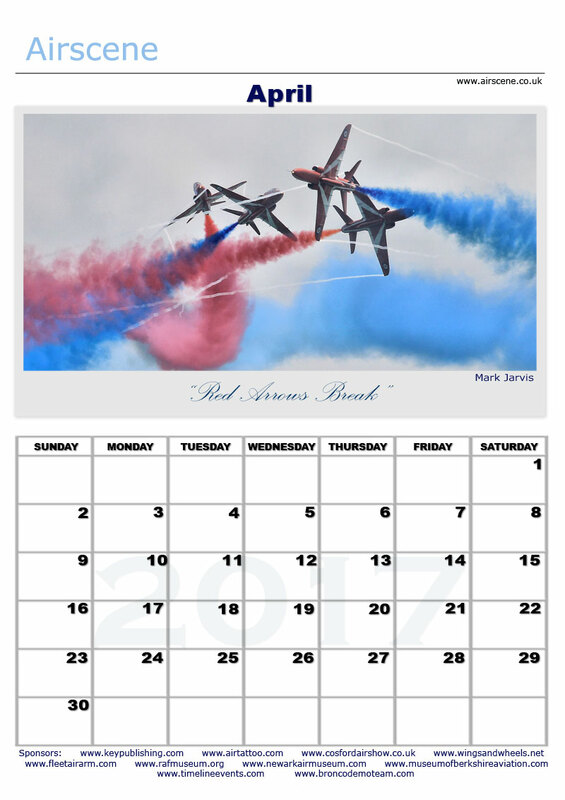 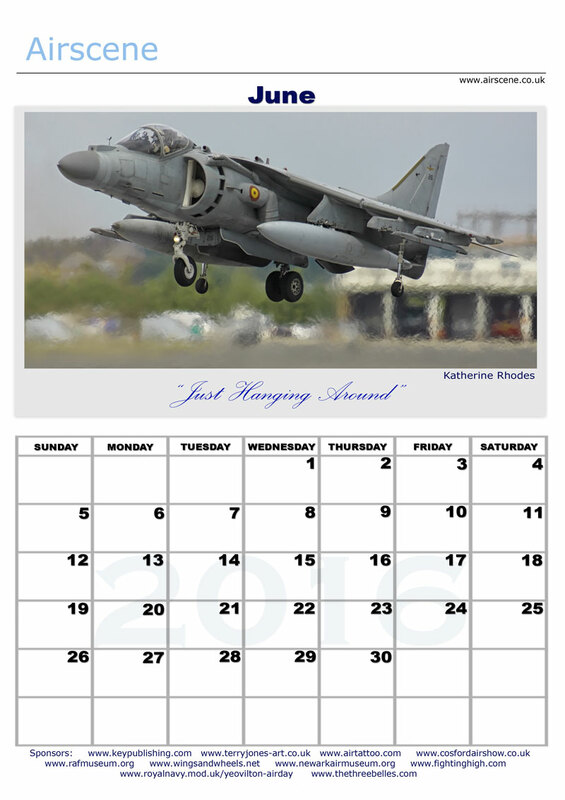 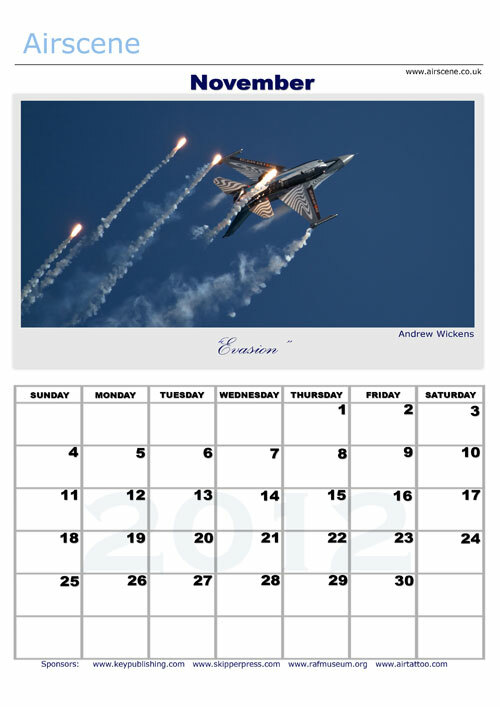 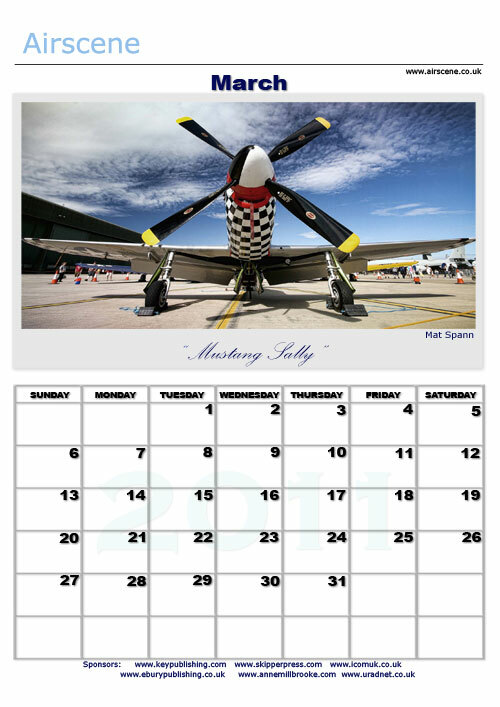 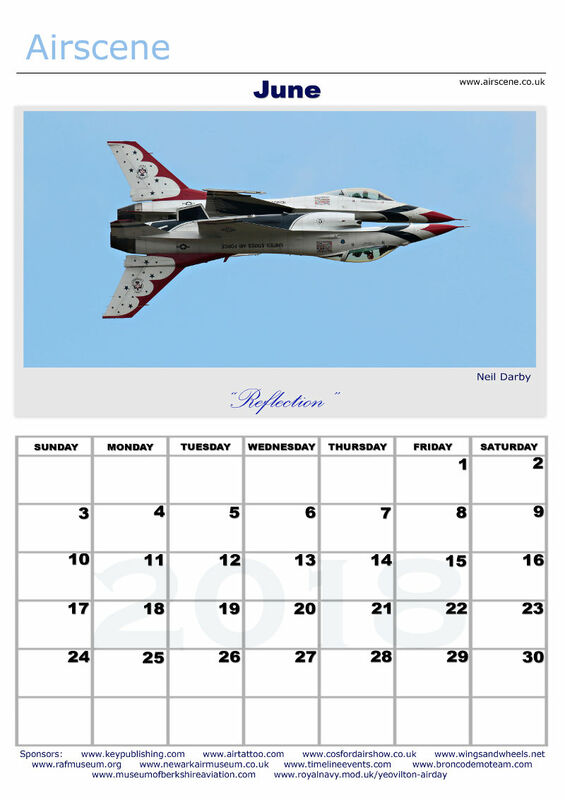 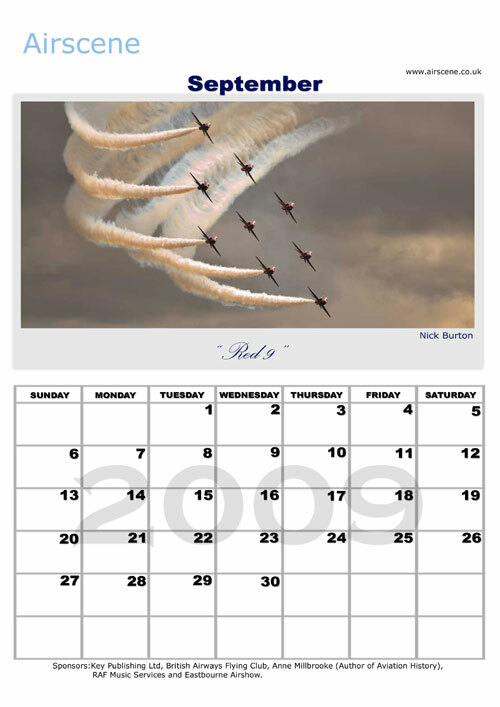 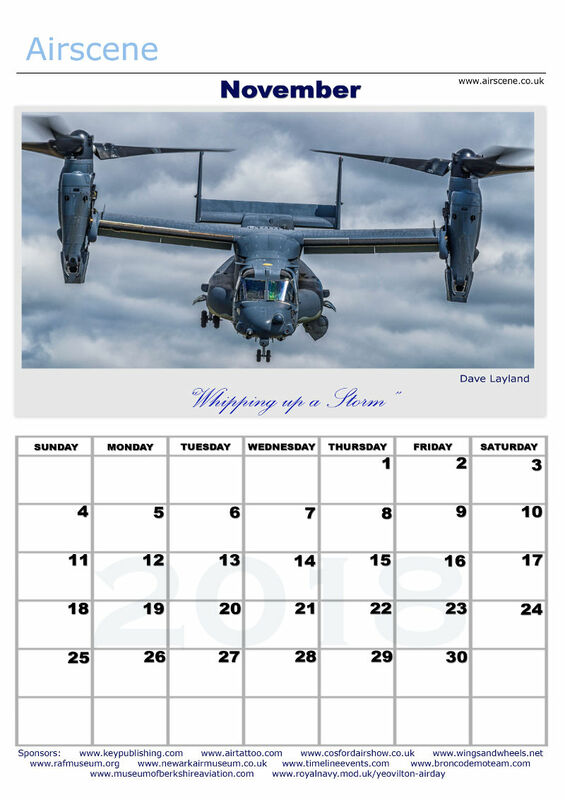 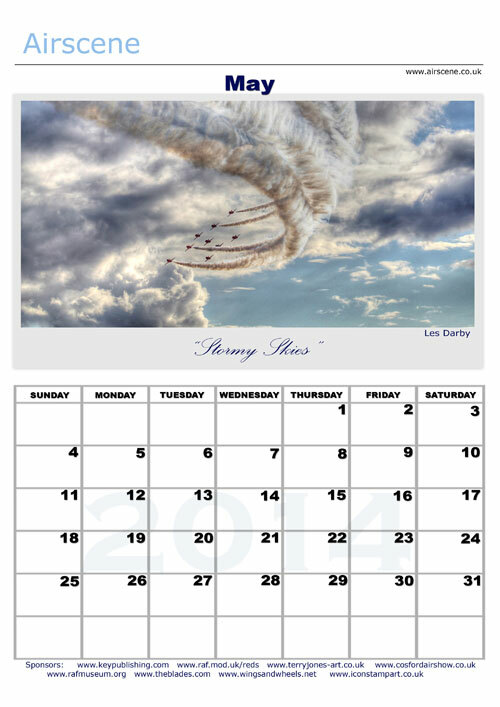 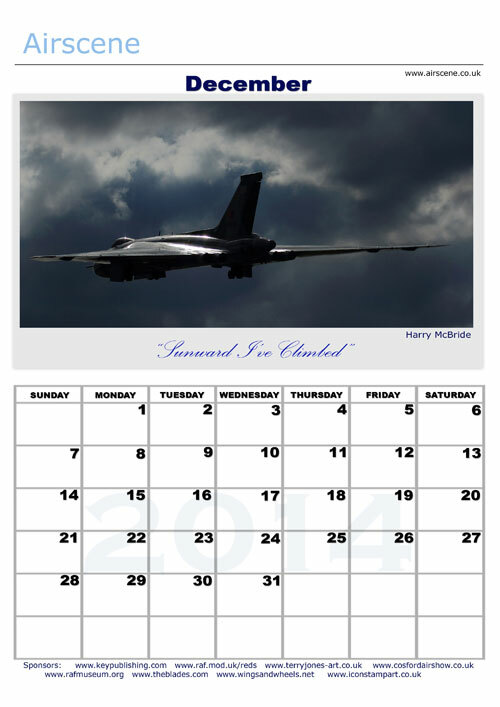 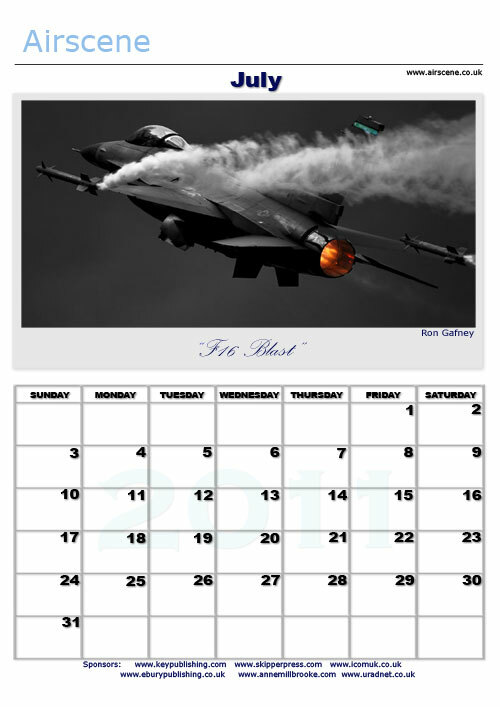 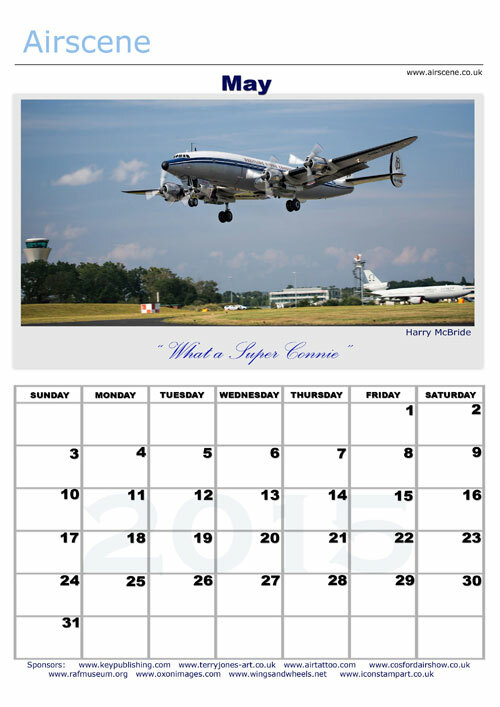 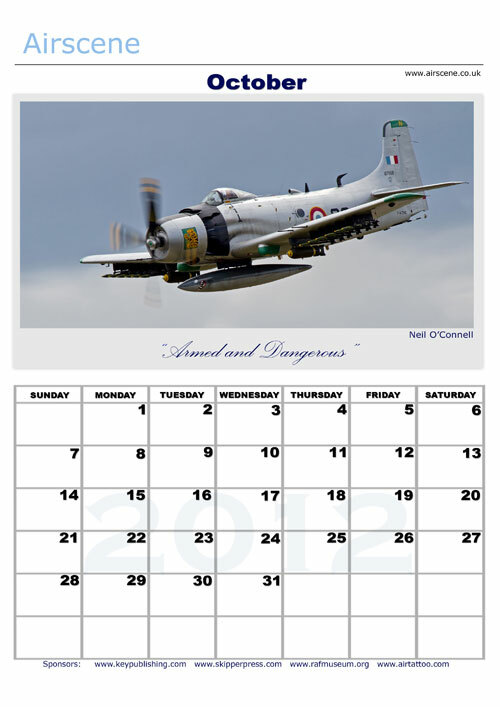 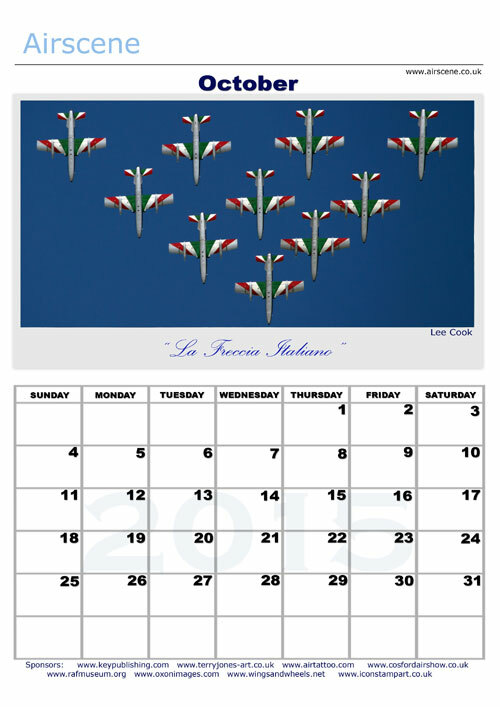 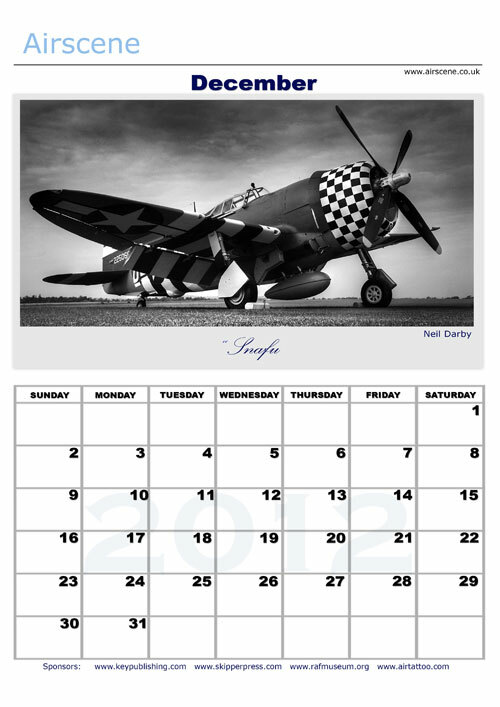 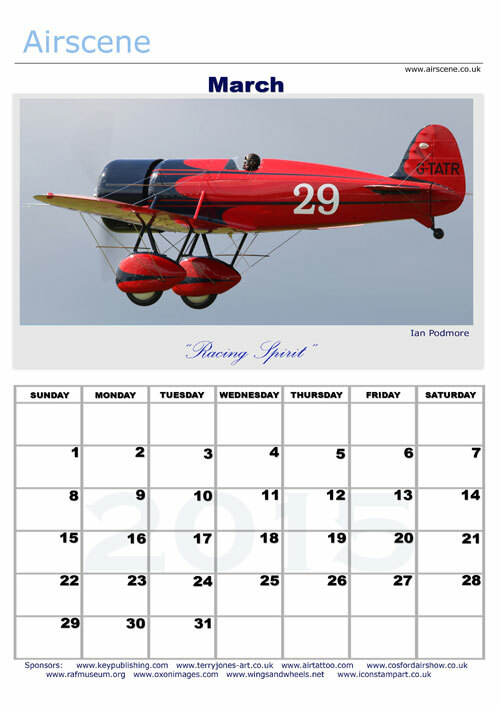 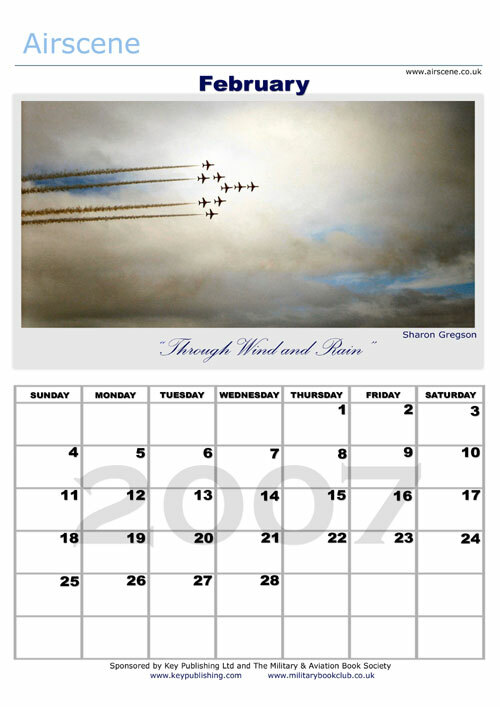 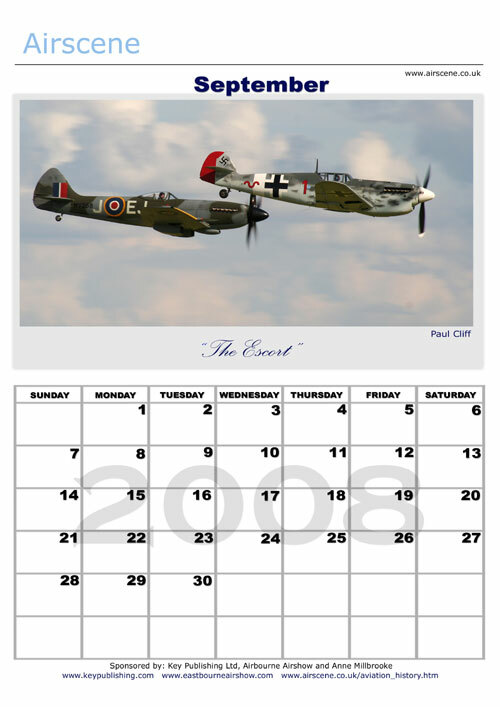 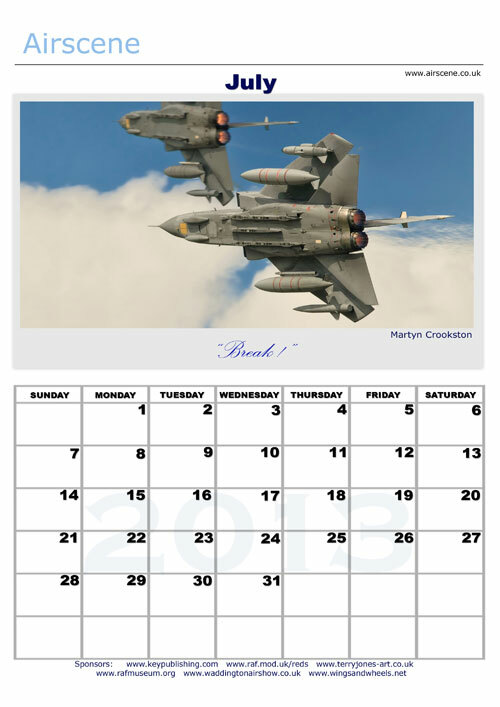 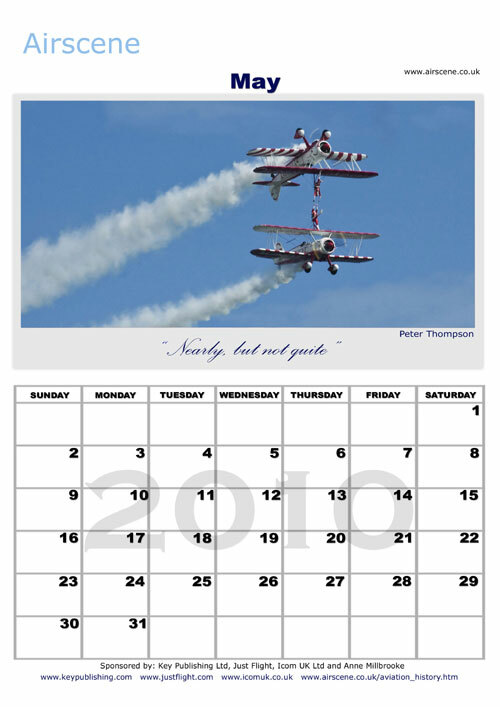 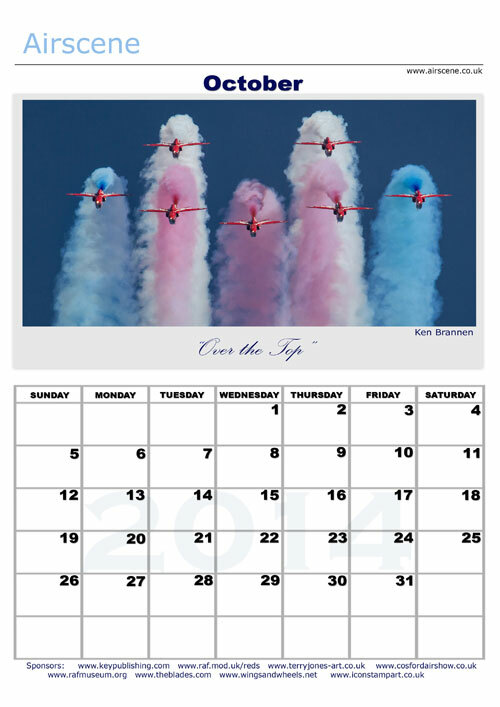 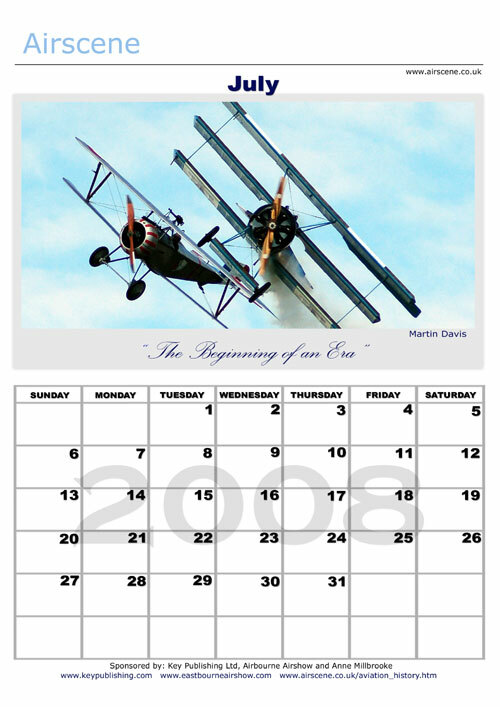 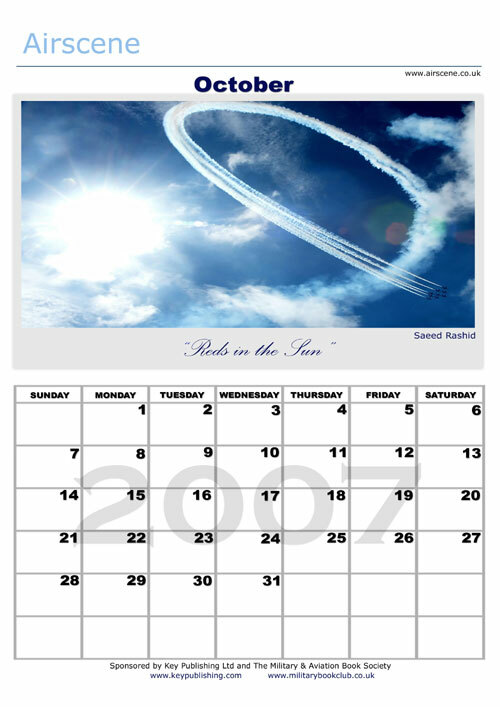 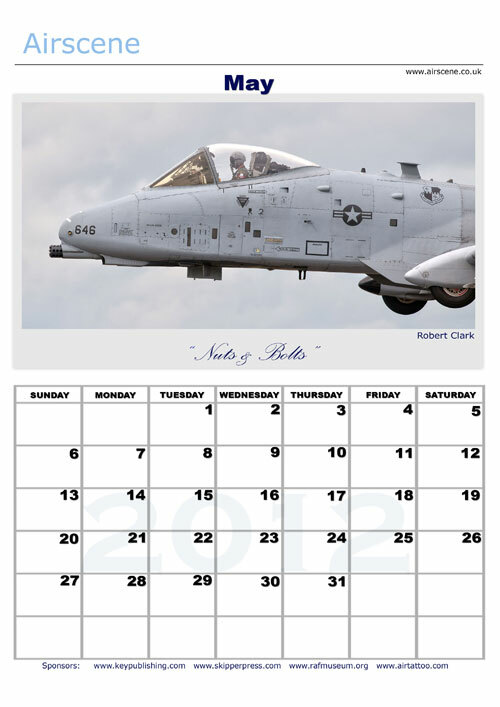 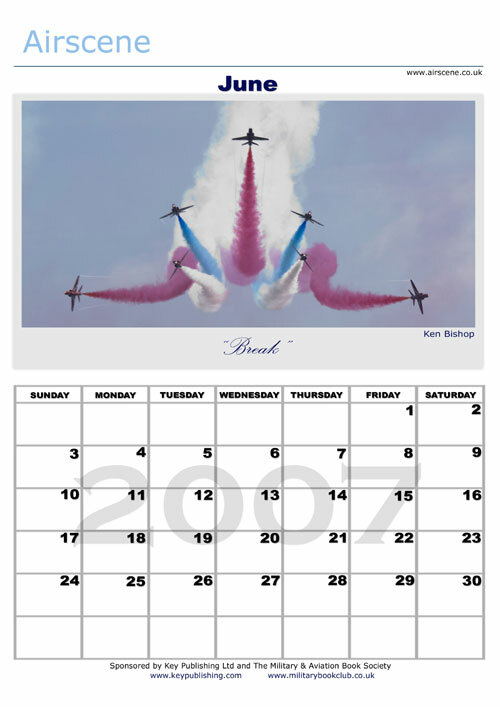 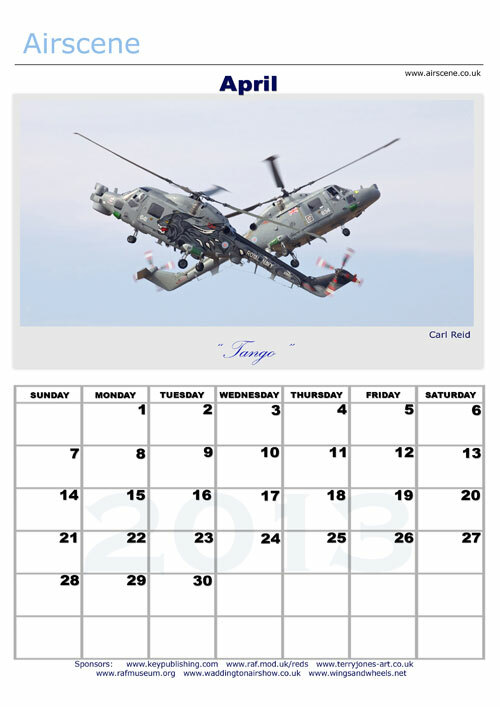 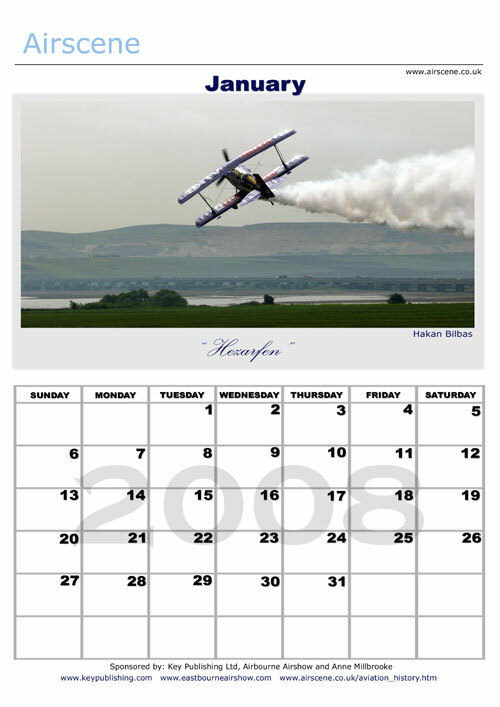 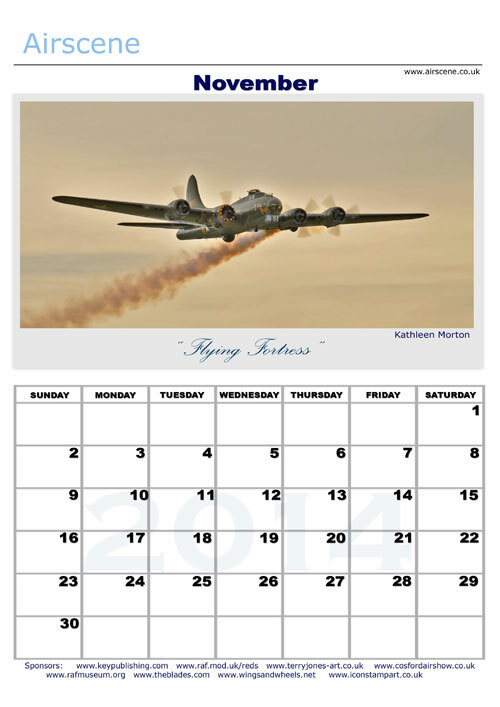 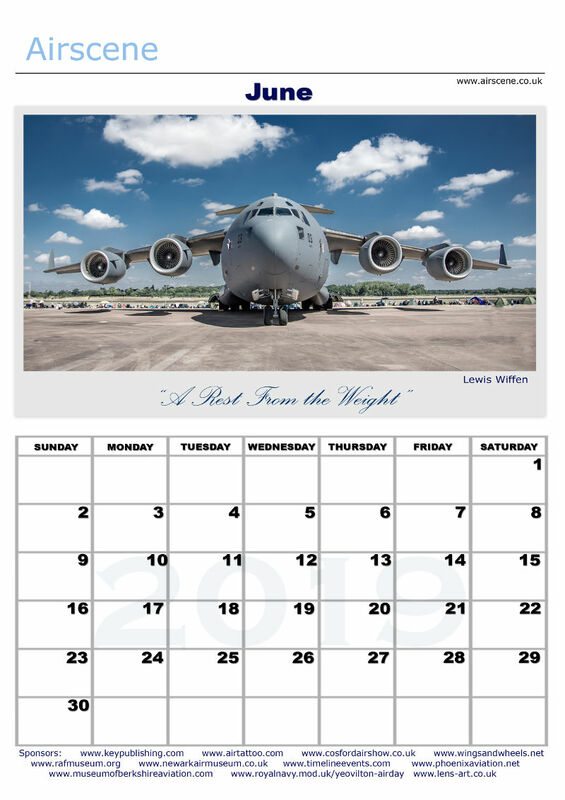 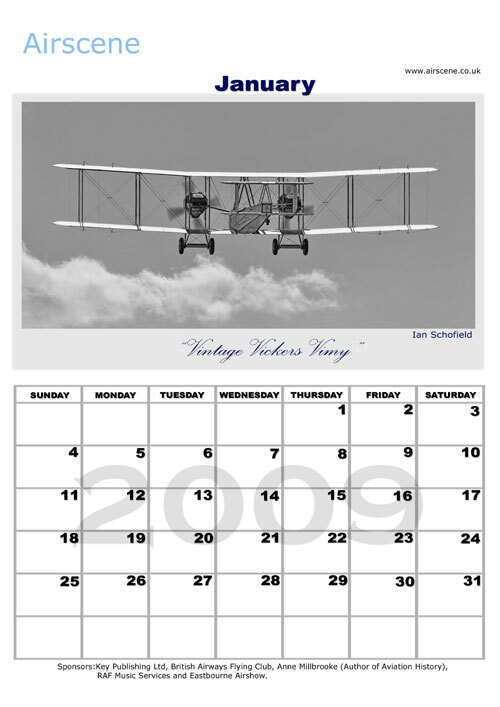 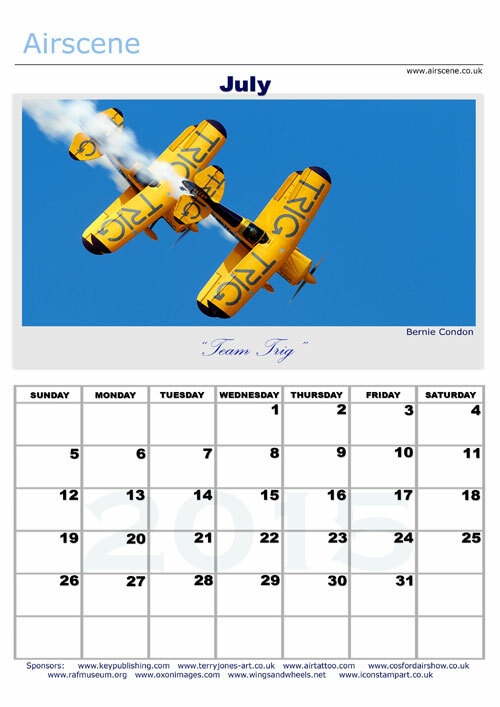 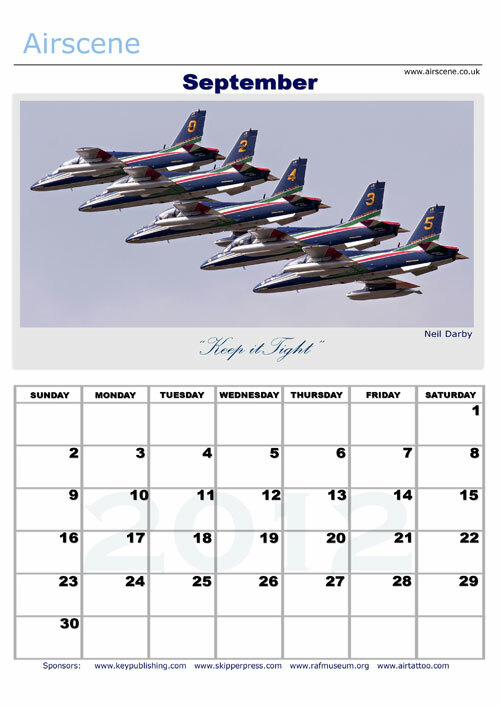 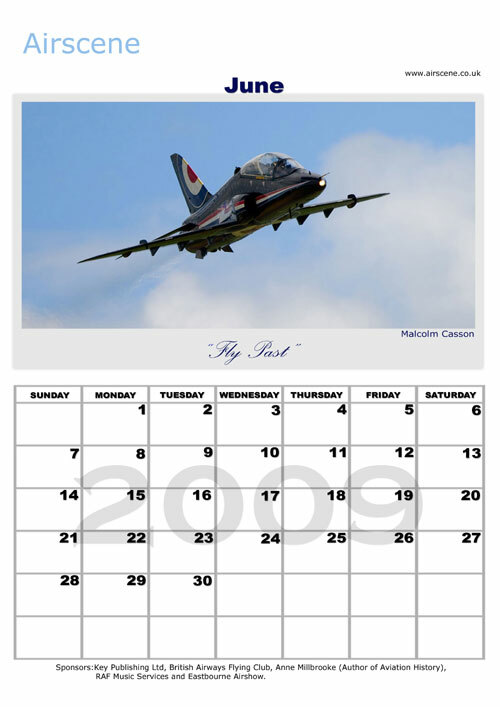 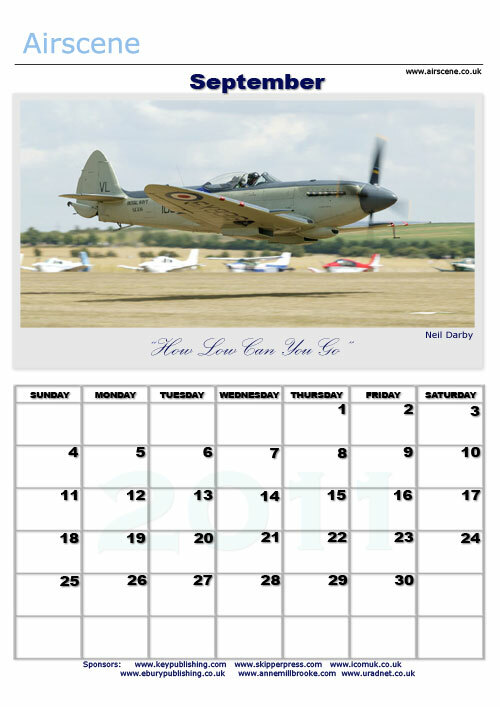 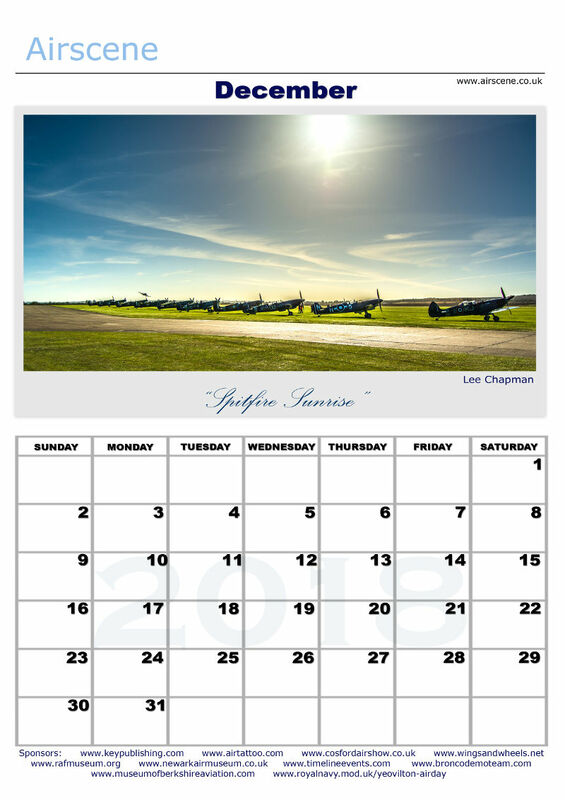 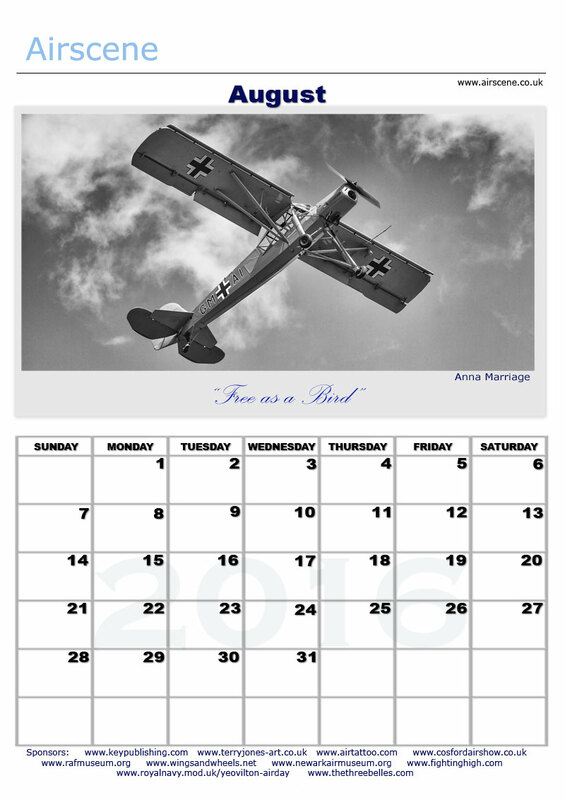 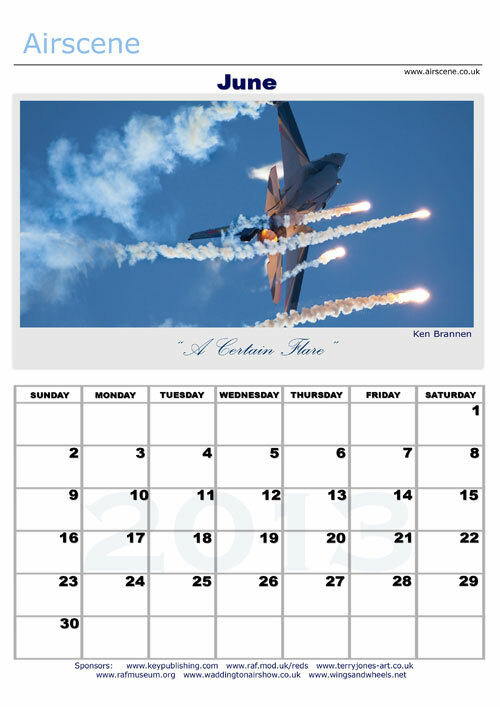 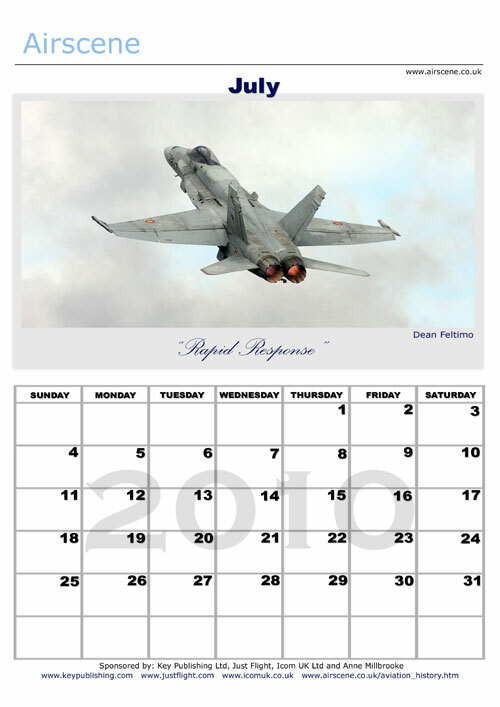 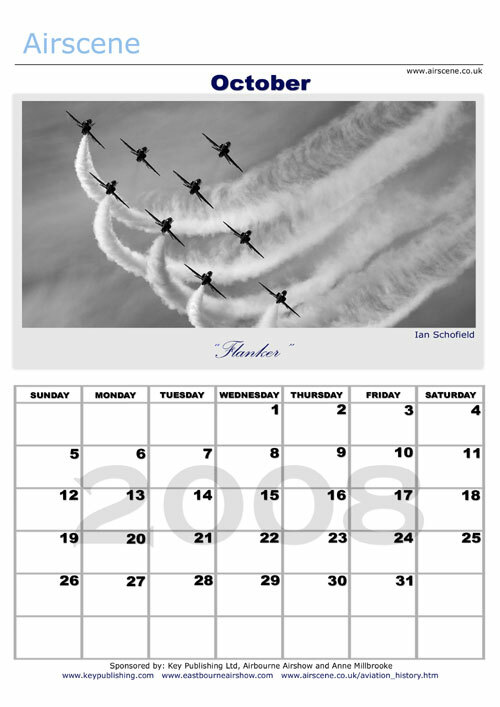 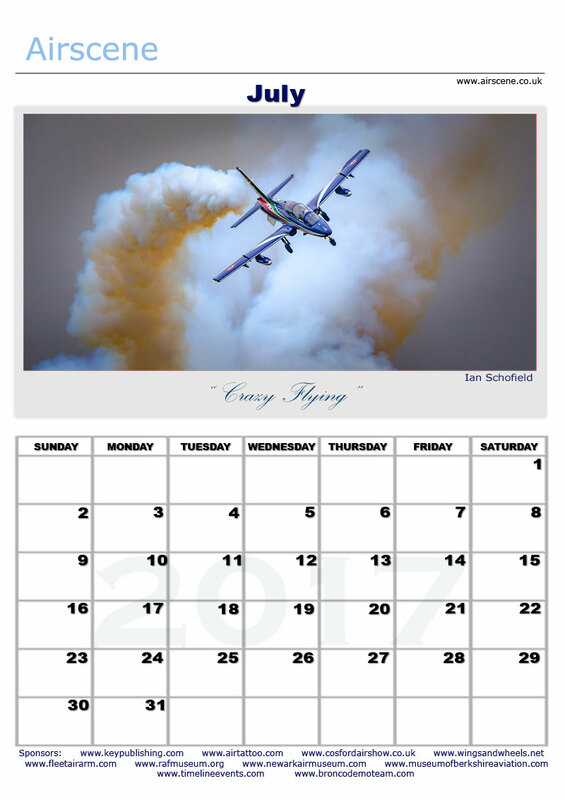 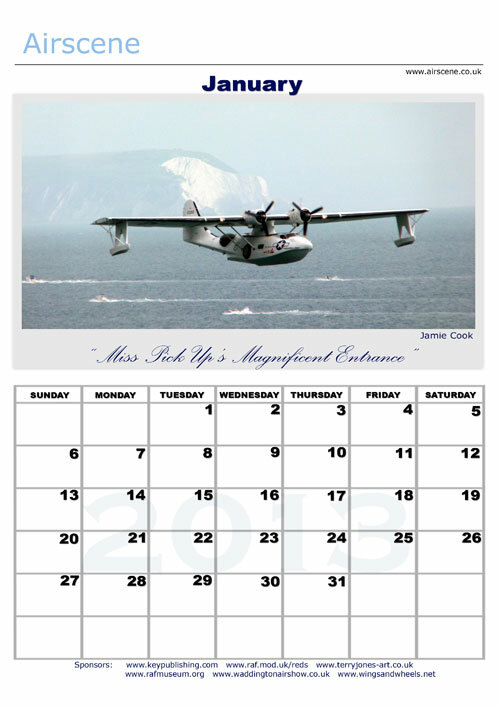 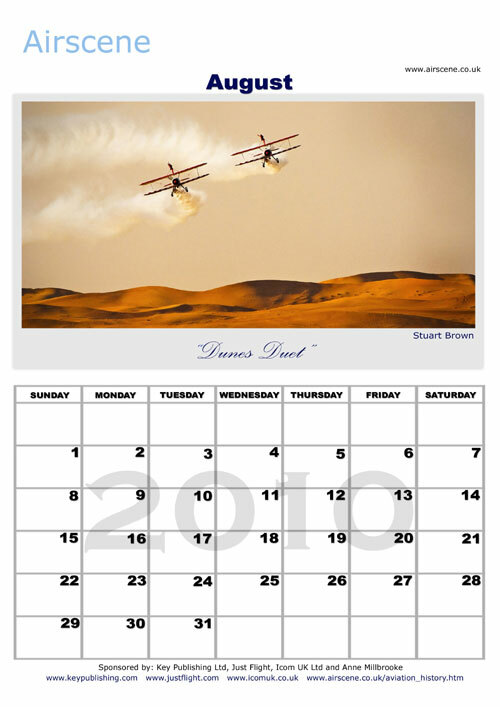 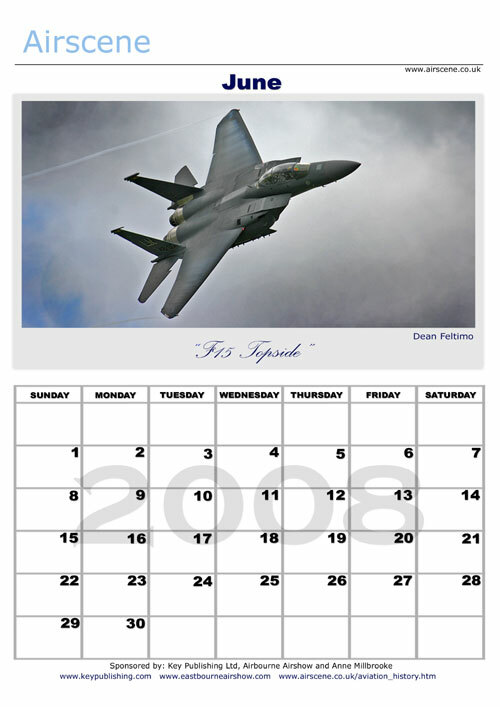 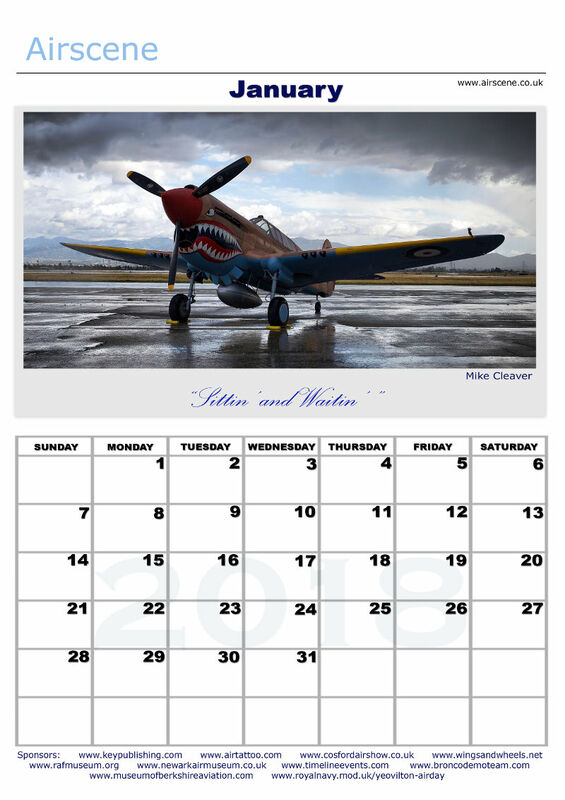 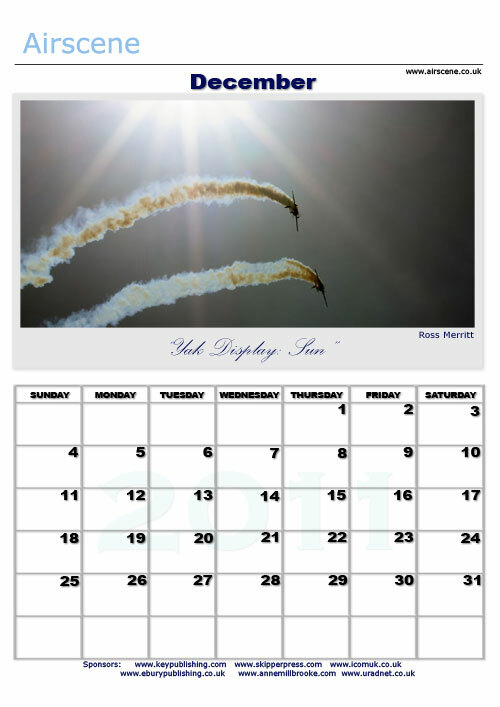 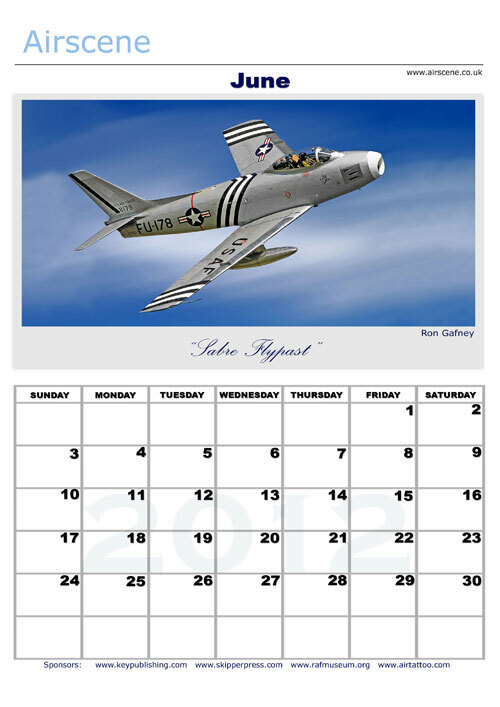 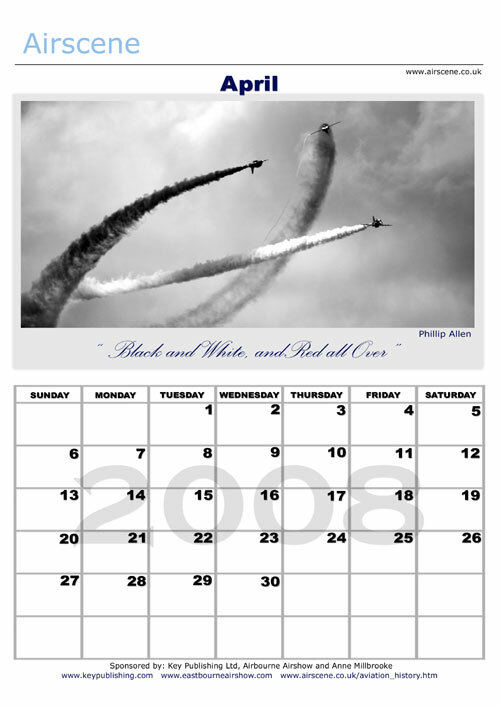 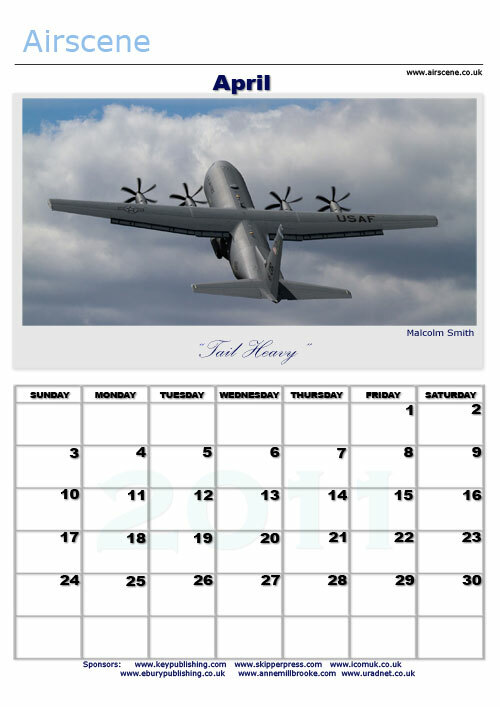 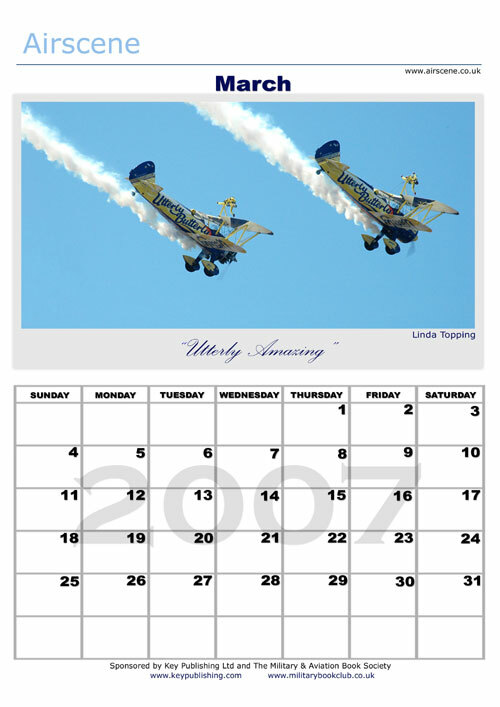 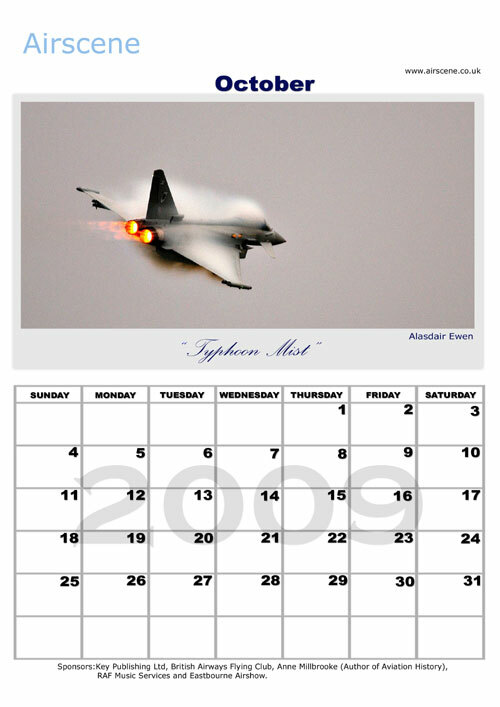 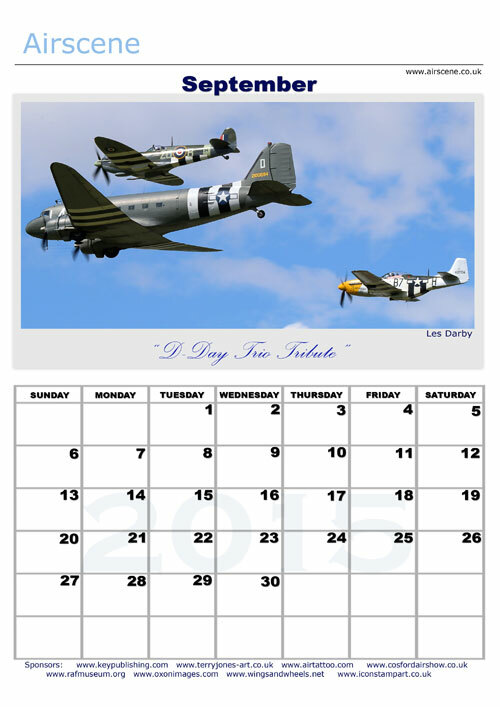 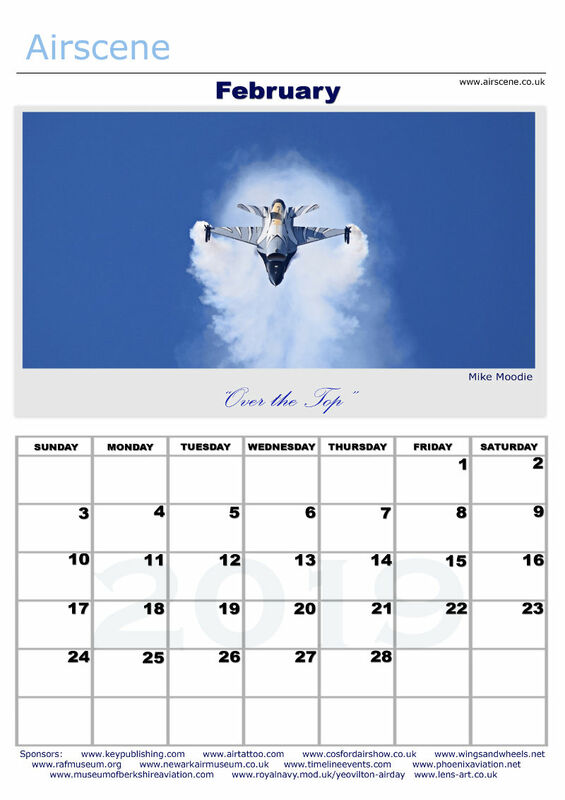 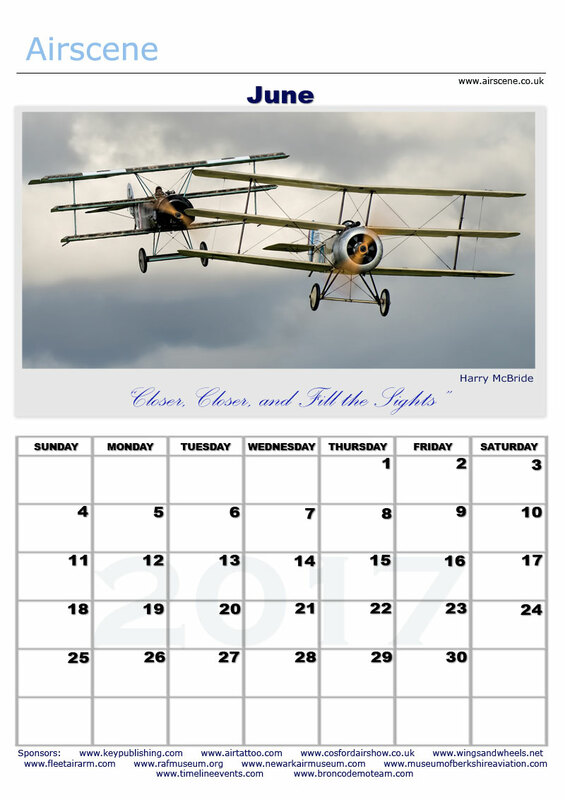 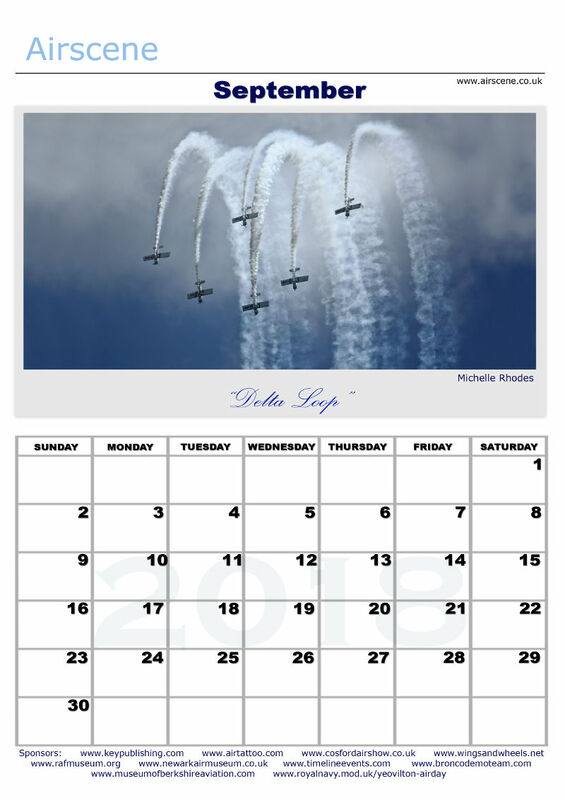 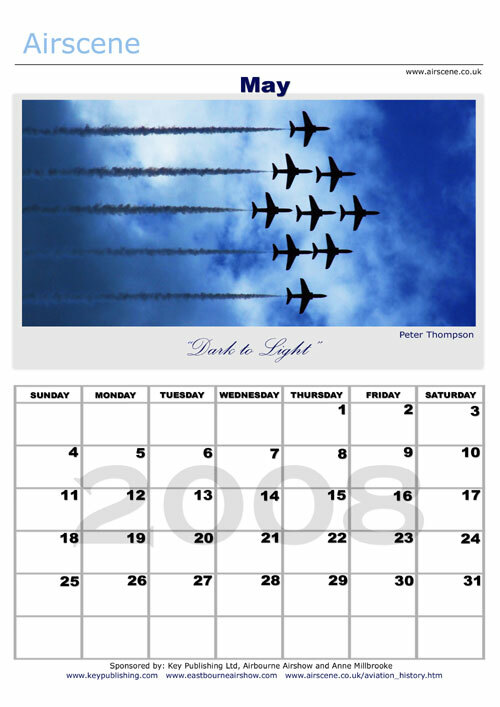 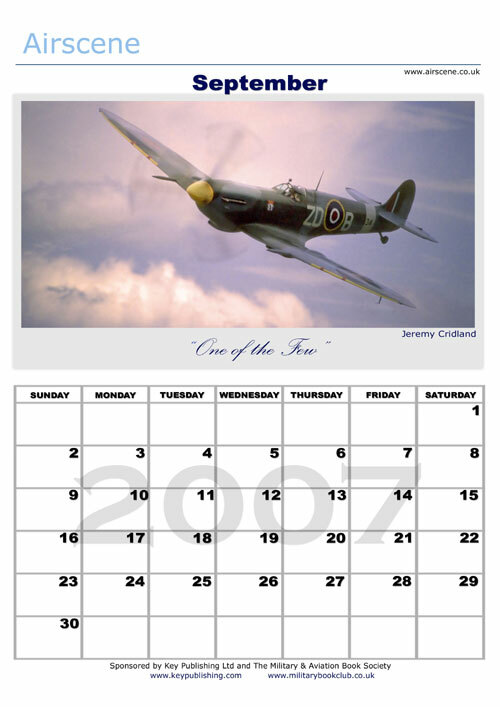 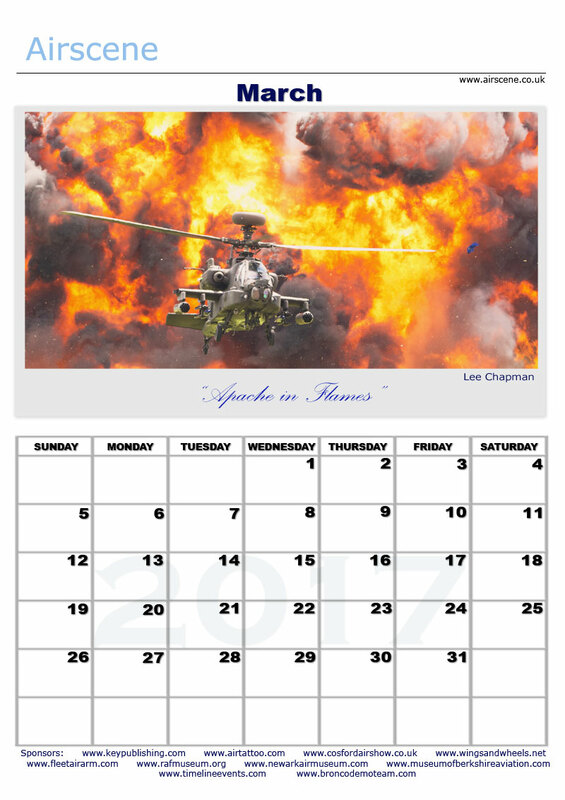 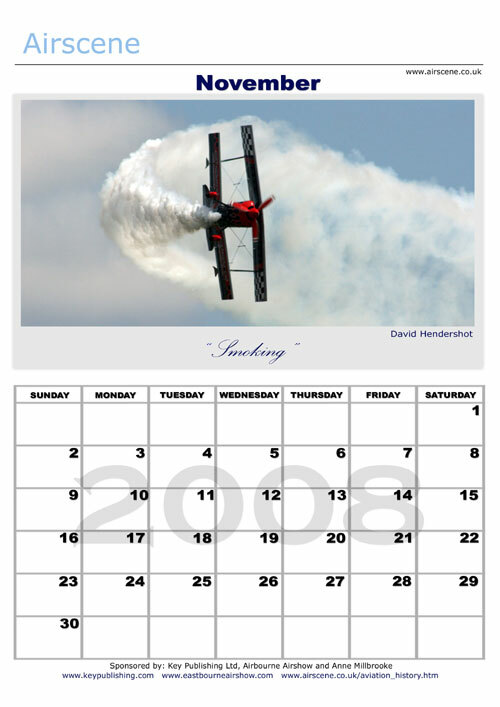 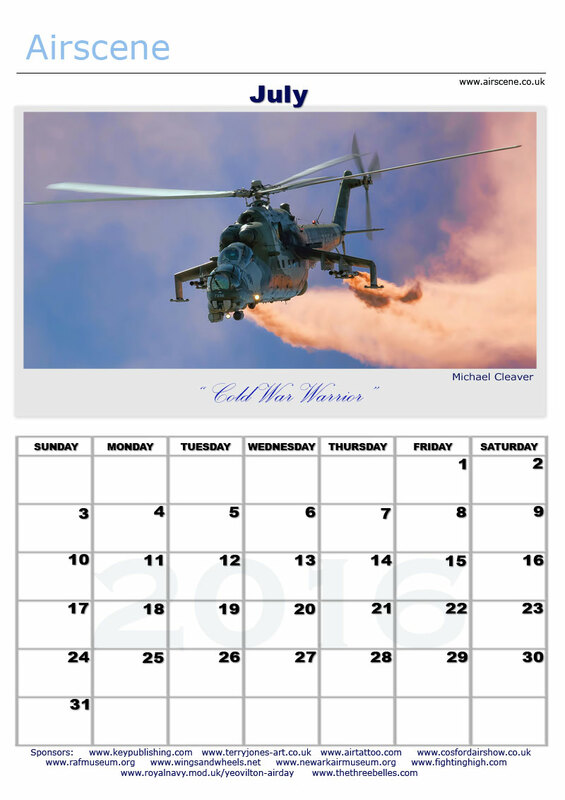 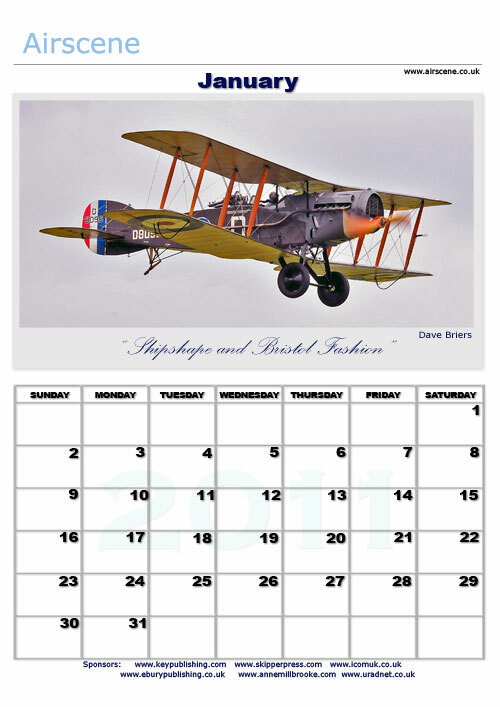 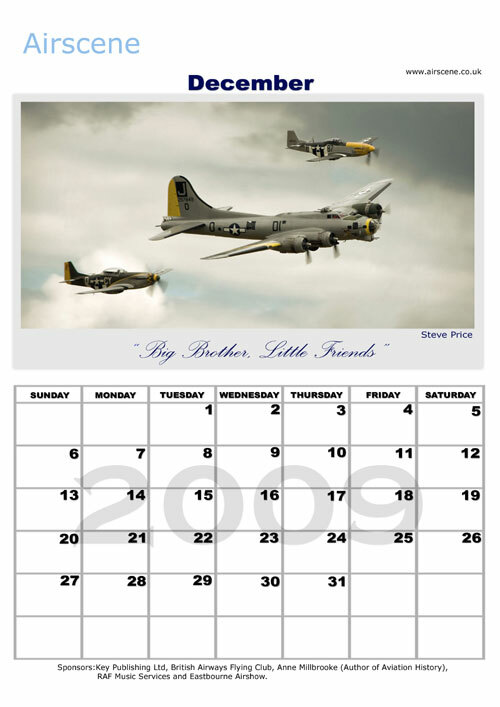 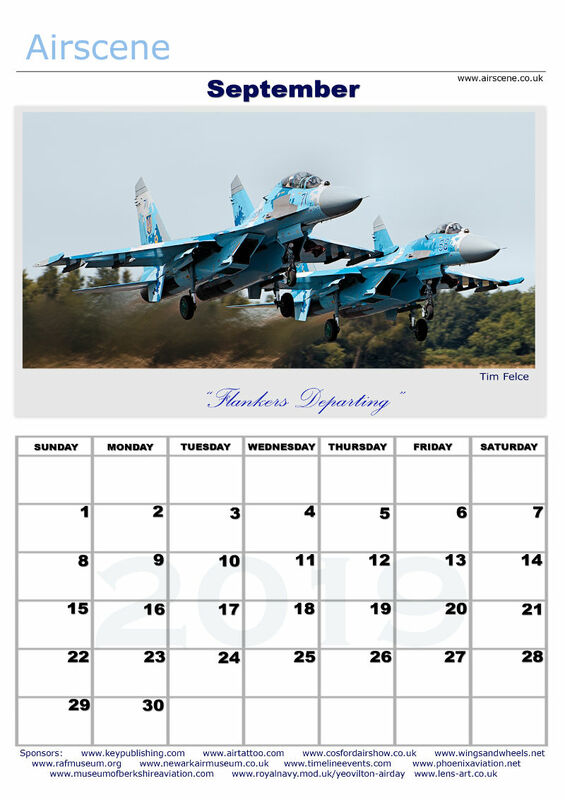 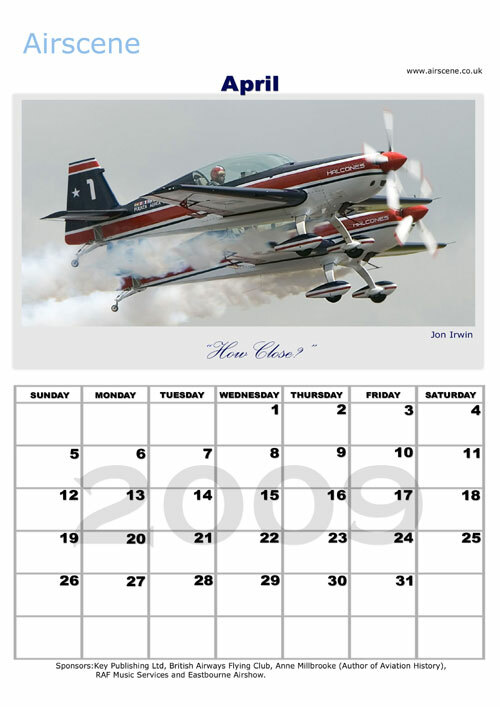 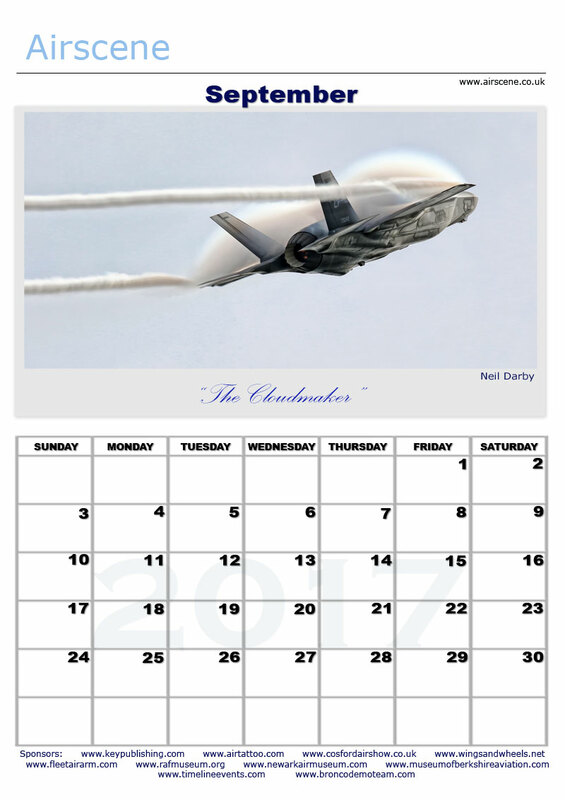 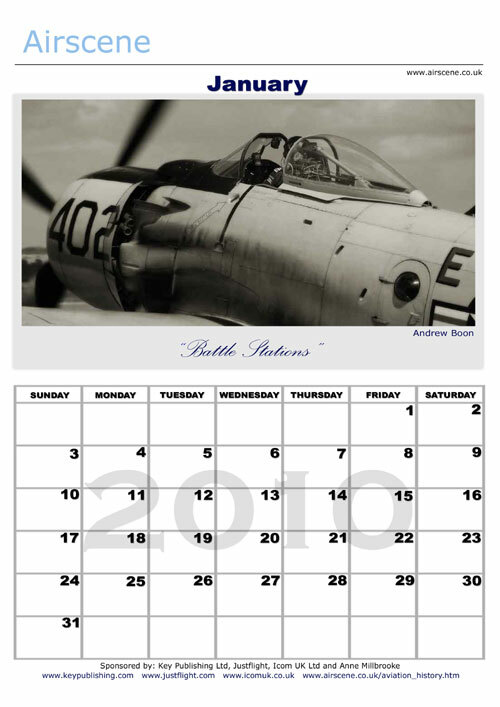 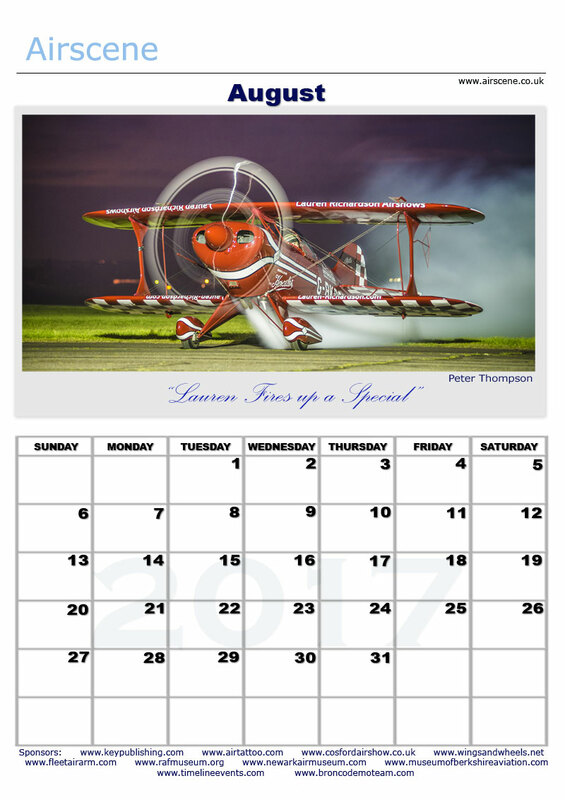 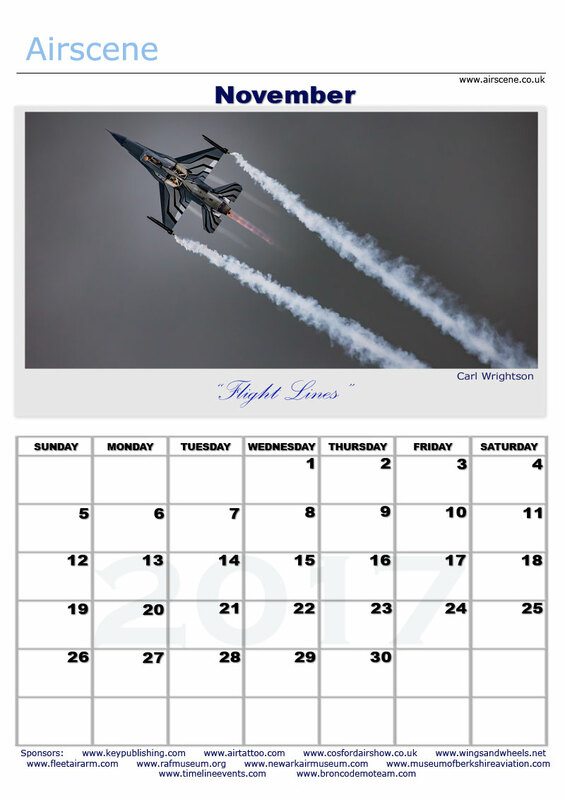 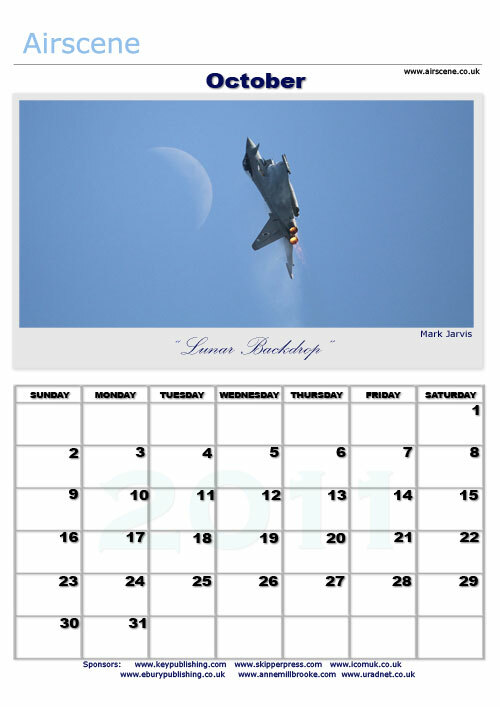 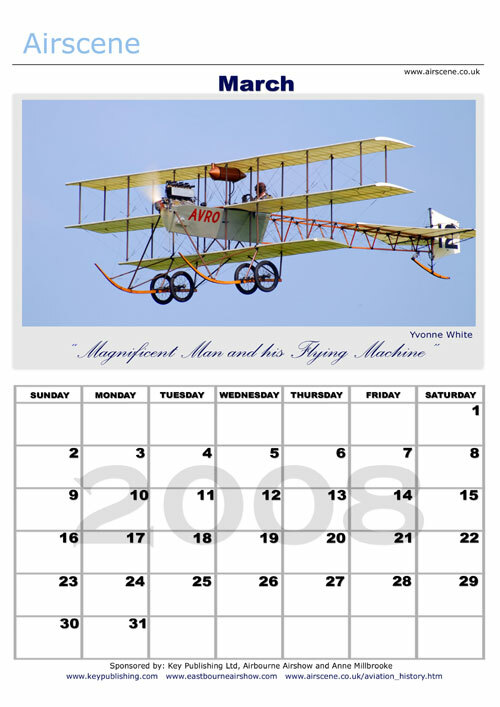 Airscene recommends fastening the calendar with a ring binder, and using a cardboard backing page for your calendar. 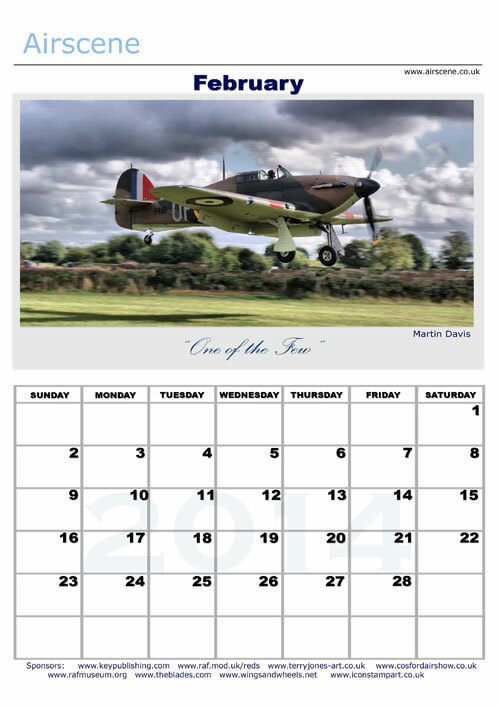 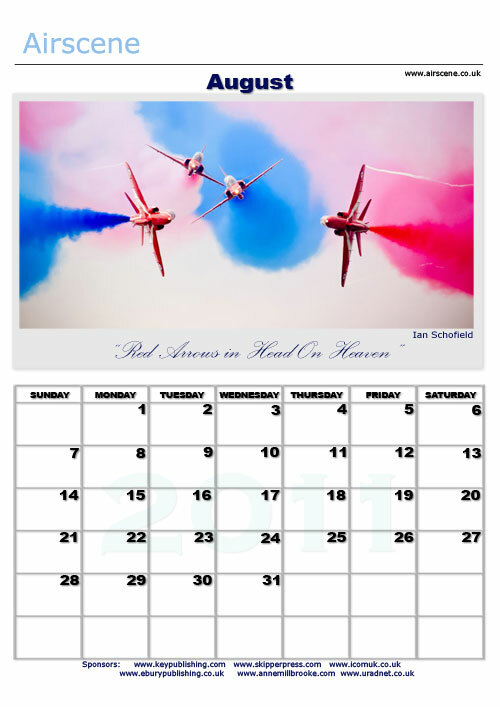 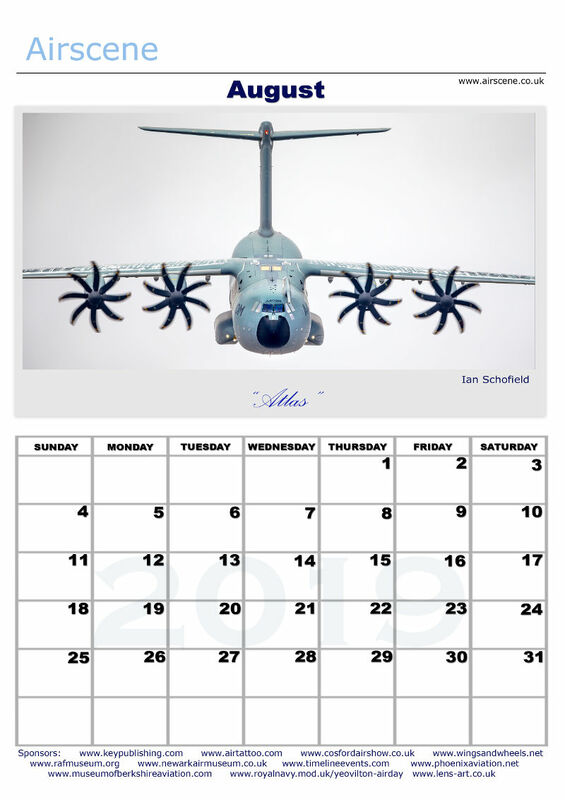 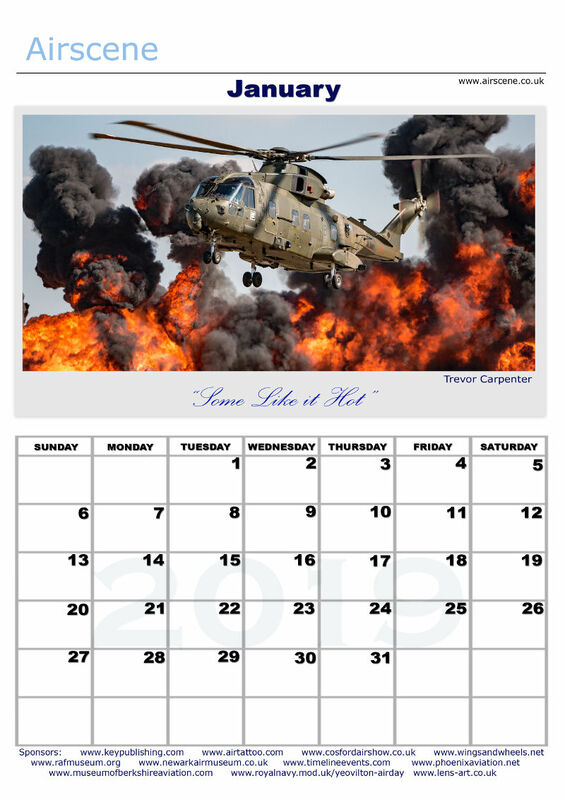 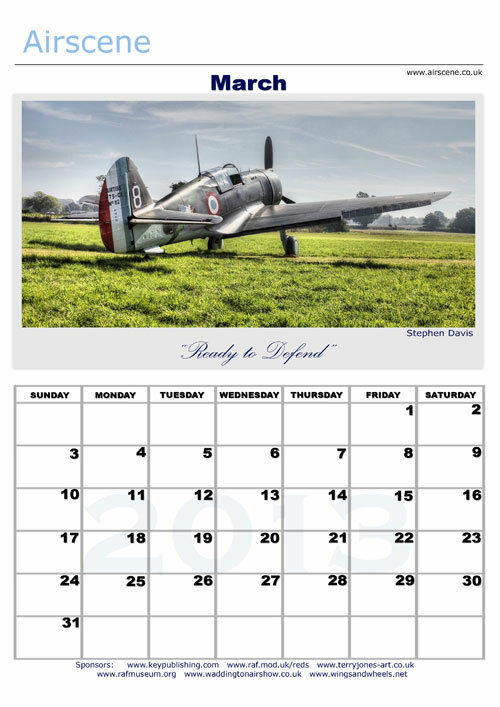 The photographs which appear on each calendar sourced from the top 12 in the annual Airscene calendar competitions and are representative of the displays seen at Airshows during the previous two years. 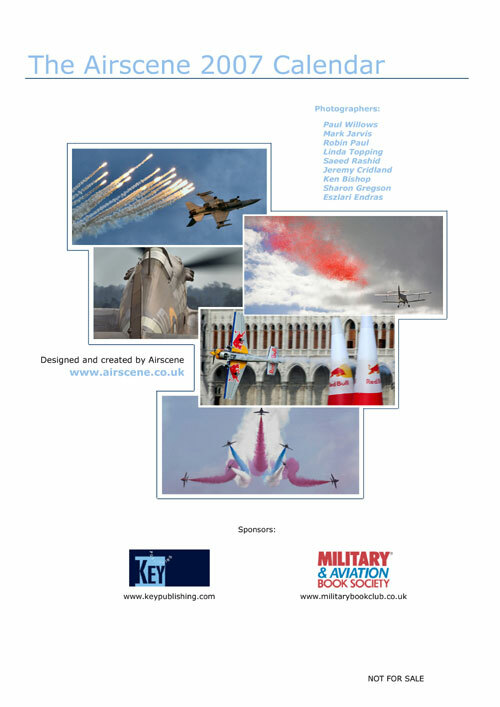 Each year the process of shortlisting and judging gets tougher and tougher. 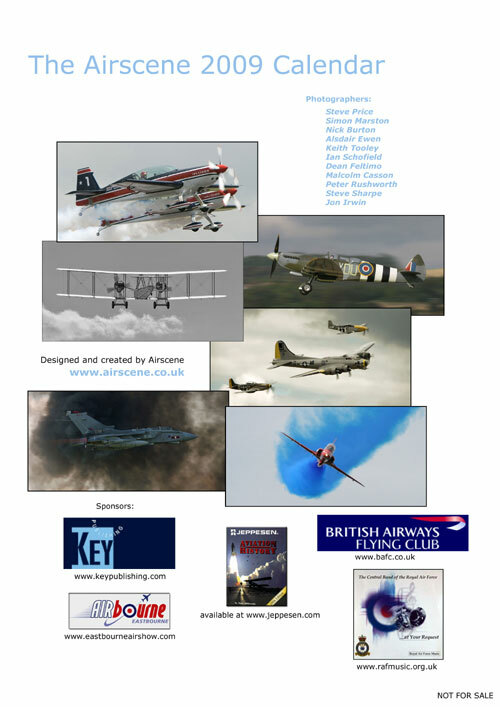 The evidence of this can be seen from the quality of the winning entries. 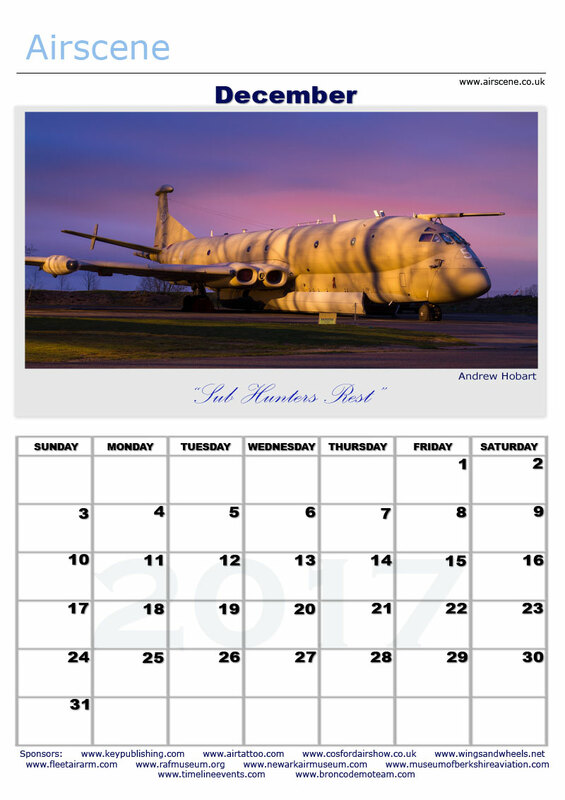 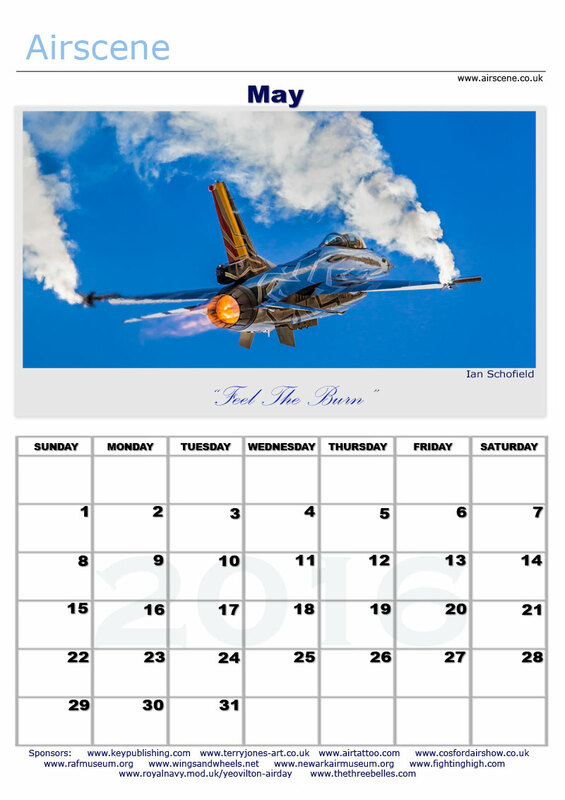 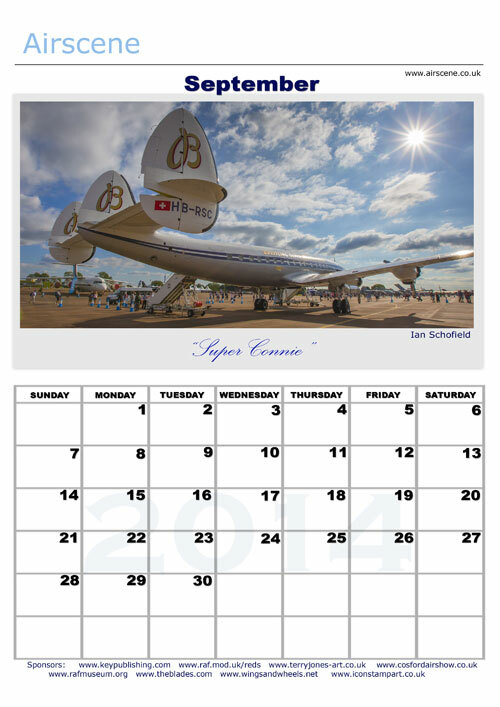 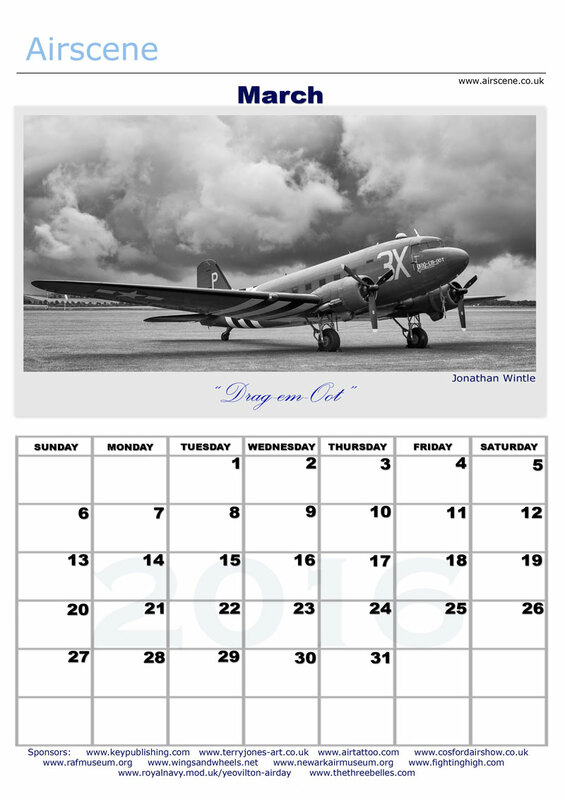 Use the links below to download the calendar and view the sample images.